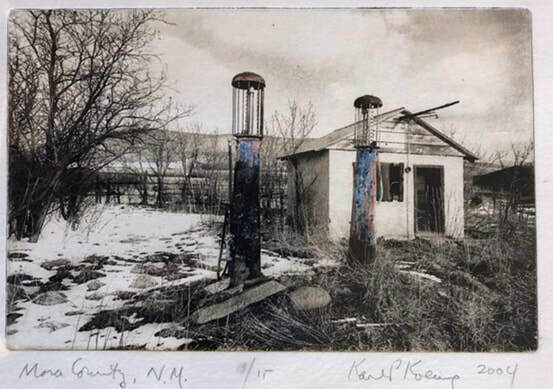 While alive, Karl and his family split their time between their Albuquerque home and their northern New Mexico ranch. 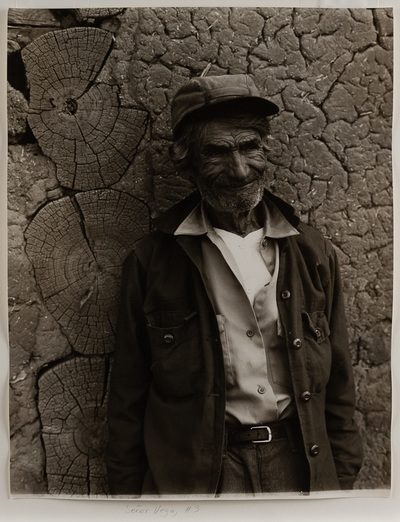 The family sold the ranch and have discovered another cache of Karl's gumoils, photogravures, and early photos. 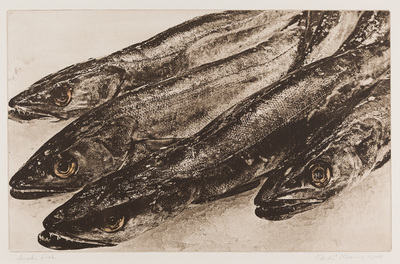 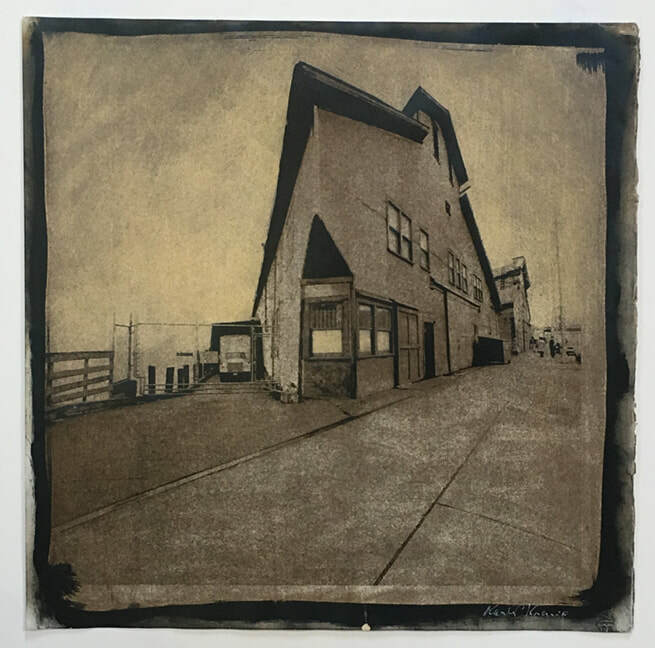 Subsequently, his family decided that the best way to honor Karl was to find homes for his work with people who truly loved his prints; they have chosen to do this by returning prices to their 2012 level: the year Karl died. 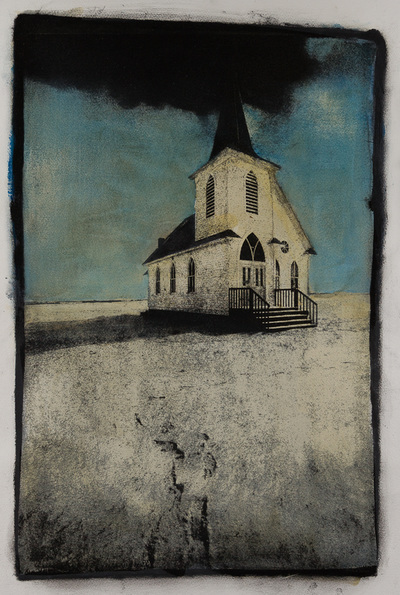 Accordingly, we have repriced his work. 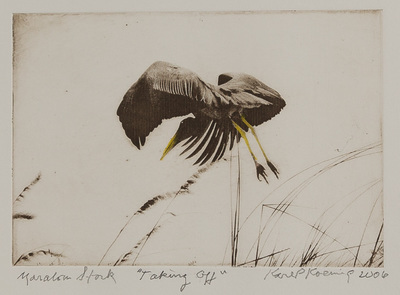 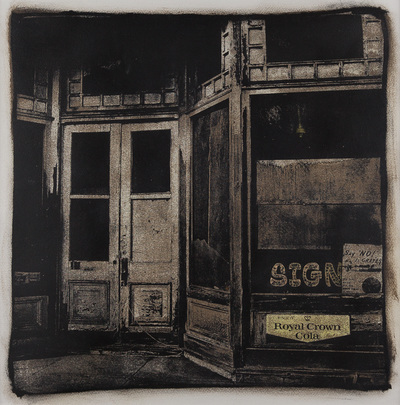 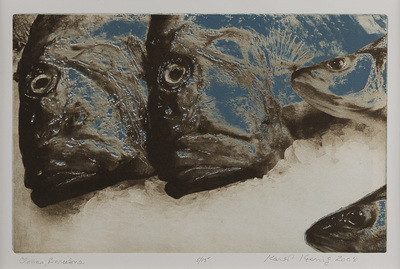 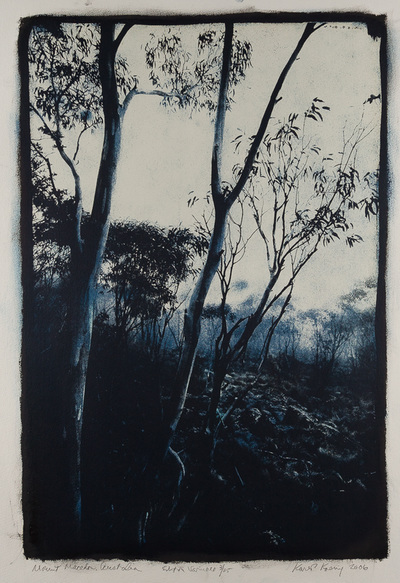 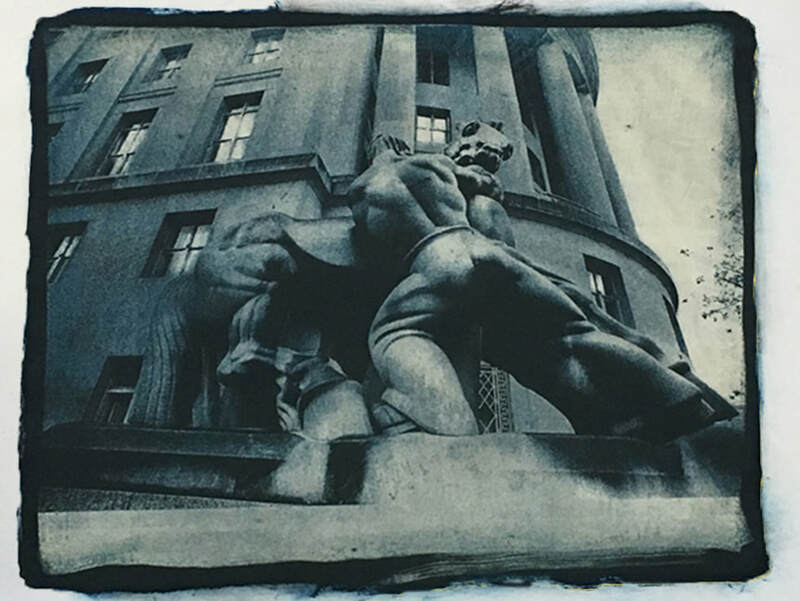 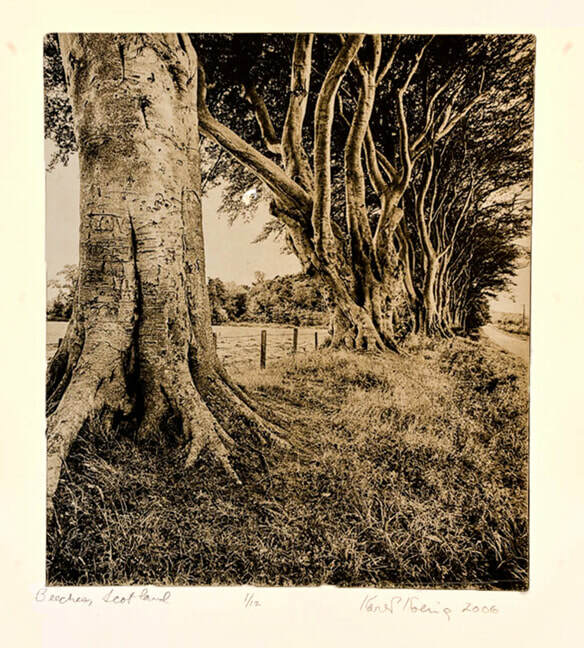 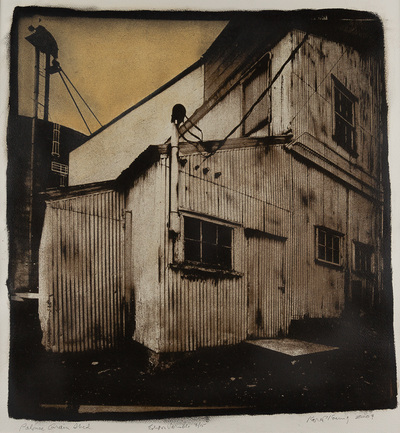 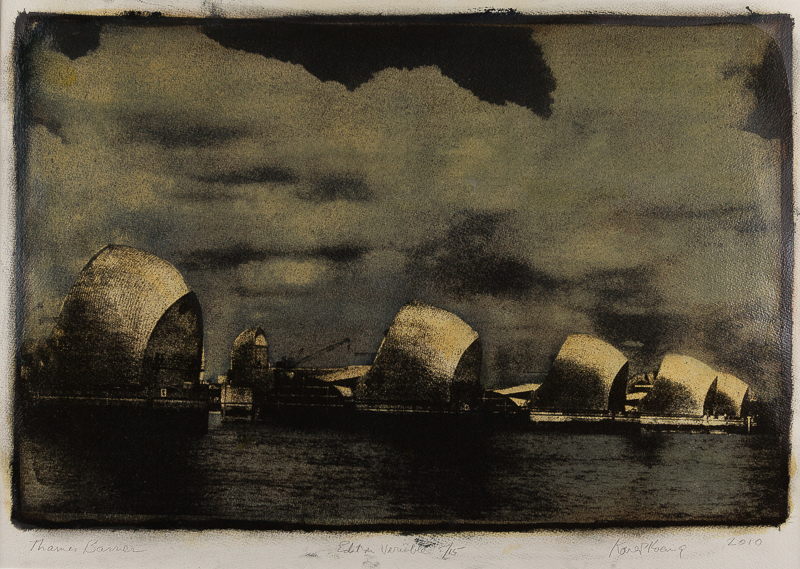 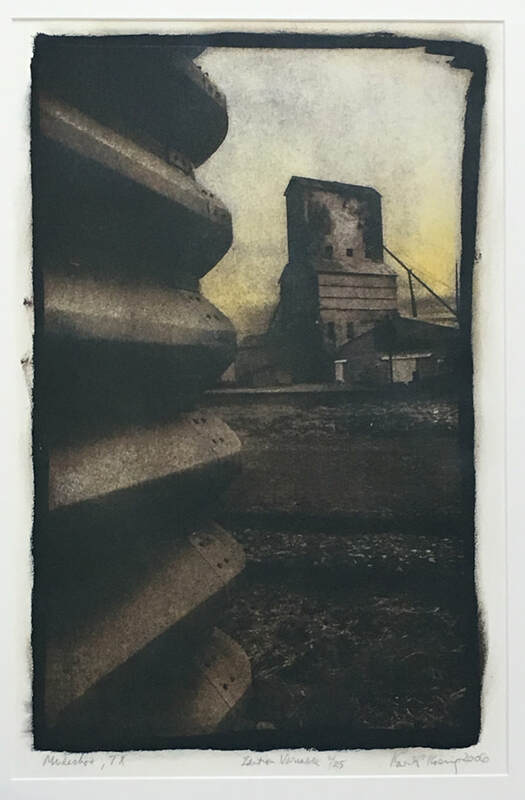 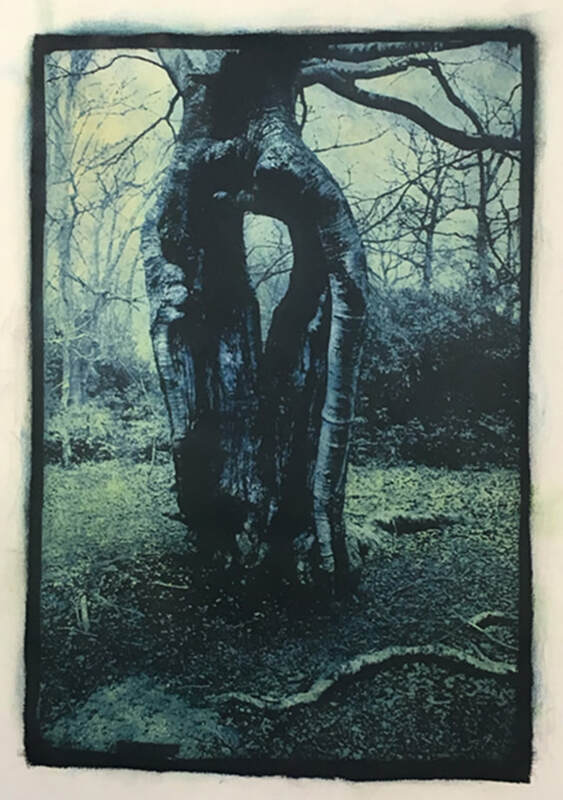 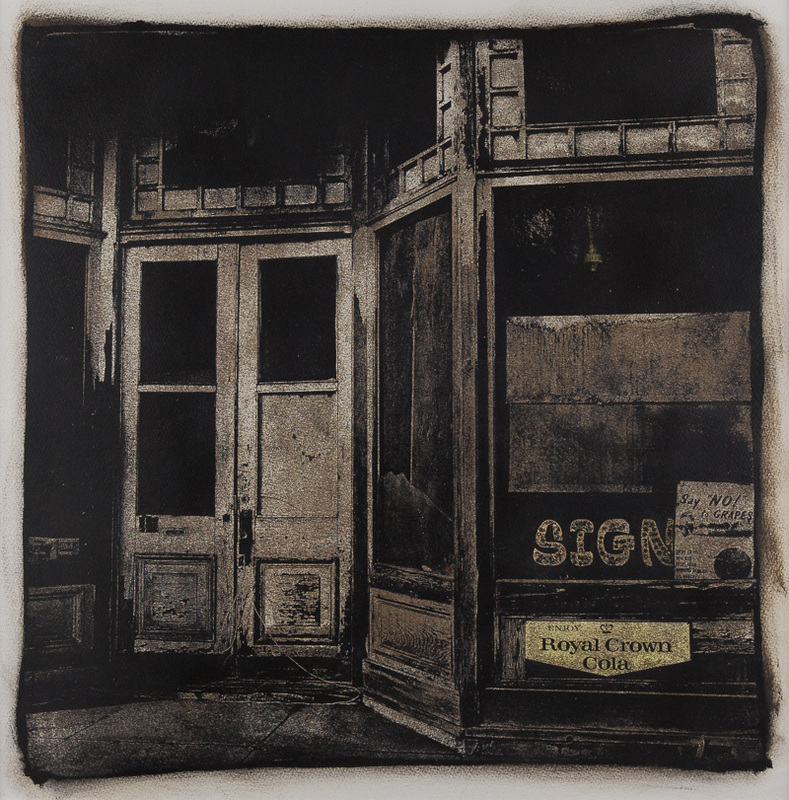 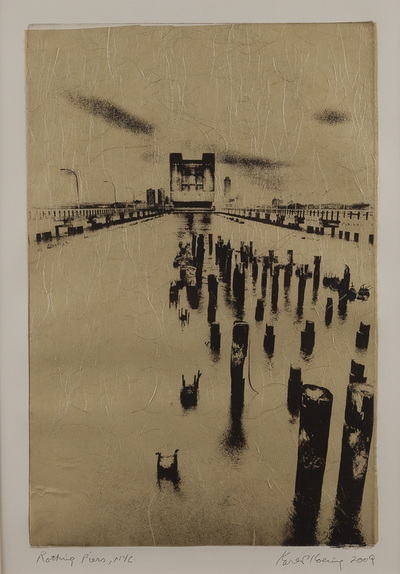 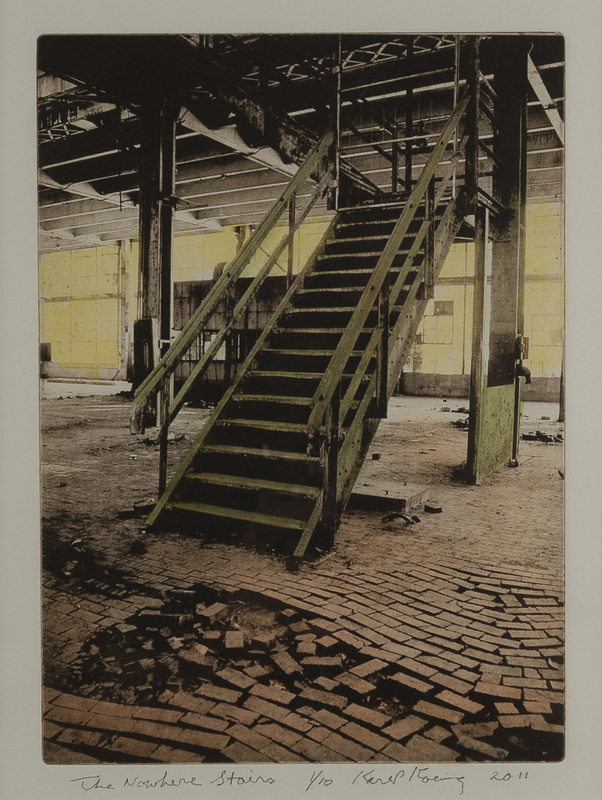 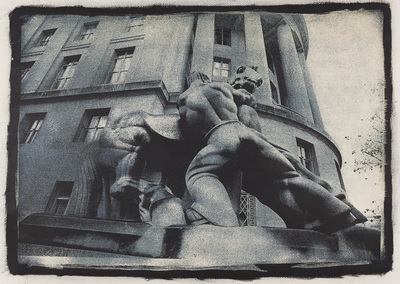 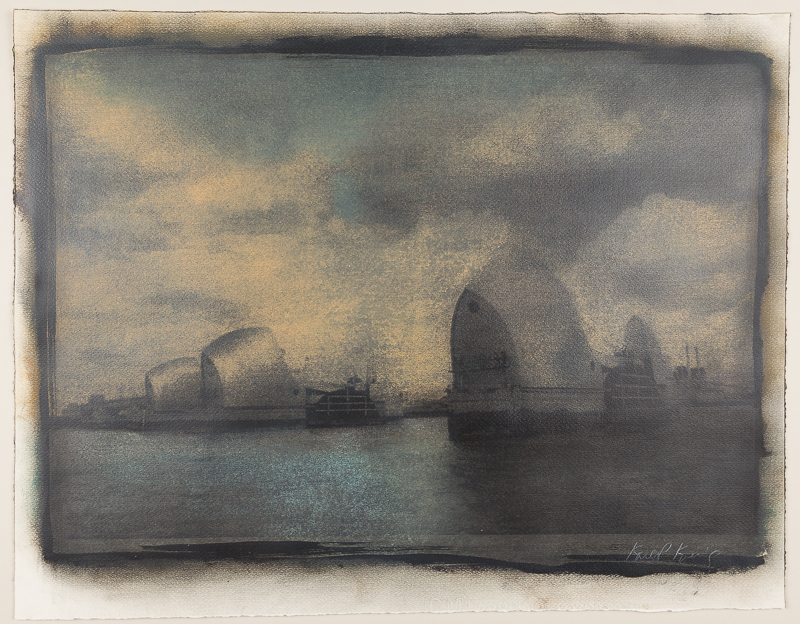 Now is your best opportunity to own a limited edition print by this internationally renowned artist. 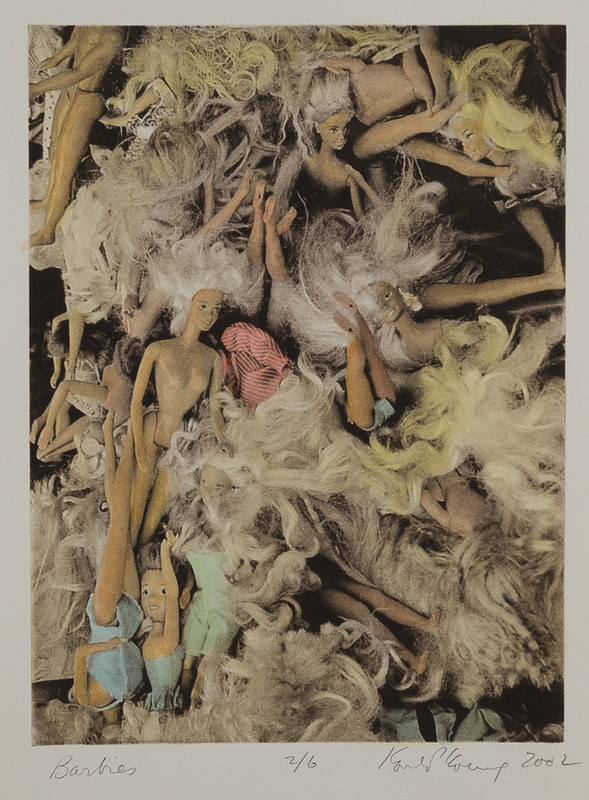 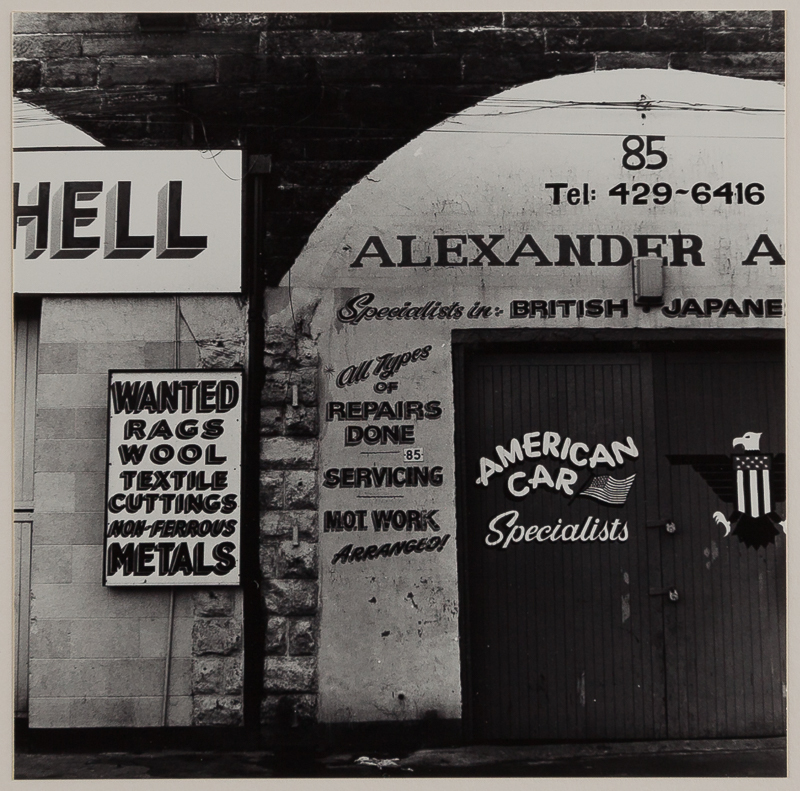 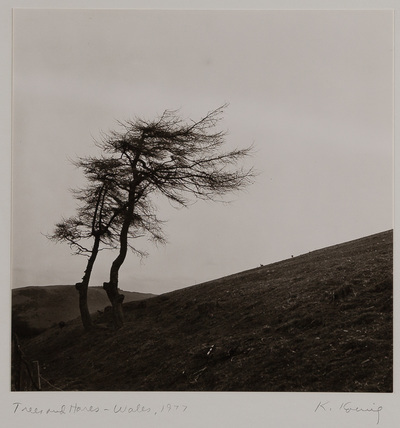 Karl's photographs graced the covers of more photo magazines than any living photographer; his work is displayed in museums and galleries all over the world. 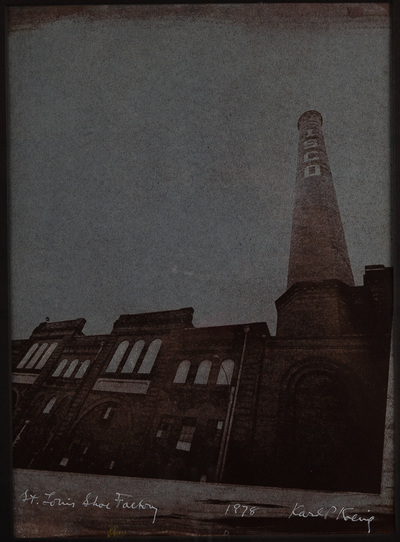 He invented the Gumoil printing process and his resulting prints, each of which took days to weeks to make, are haunting, breathtaking. 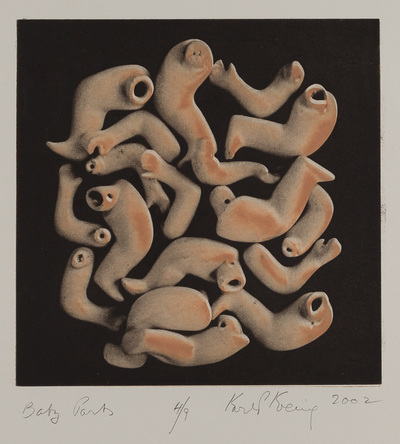 Always printed in small editions, Karl called his gumoils 'Variable Edition' prints; no two were ever alike. 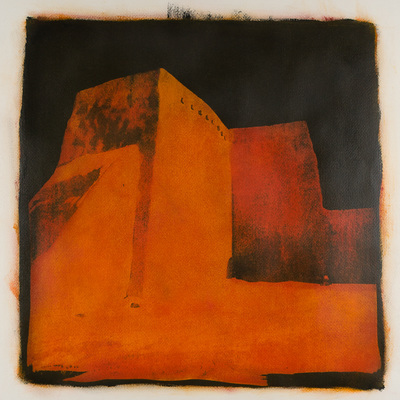 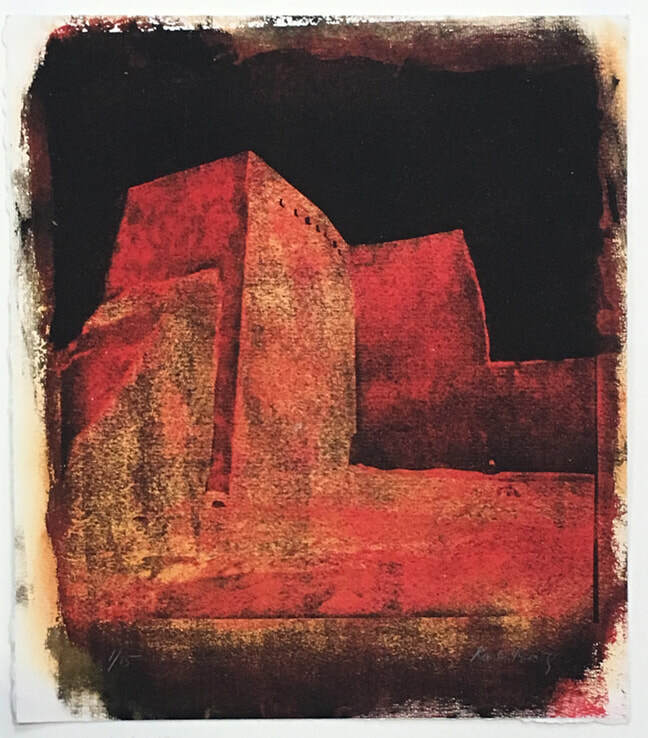 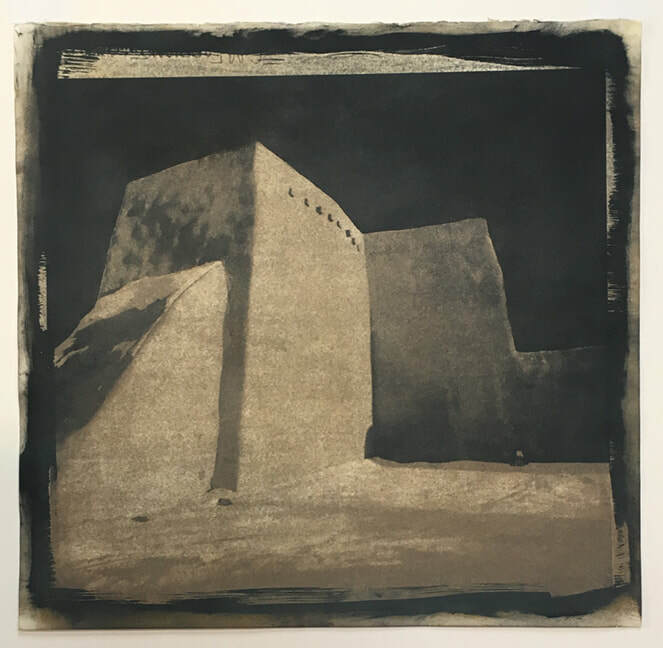 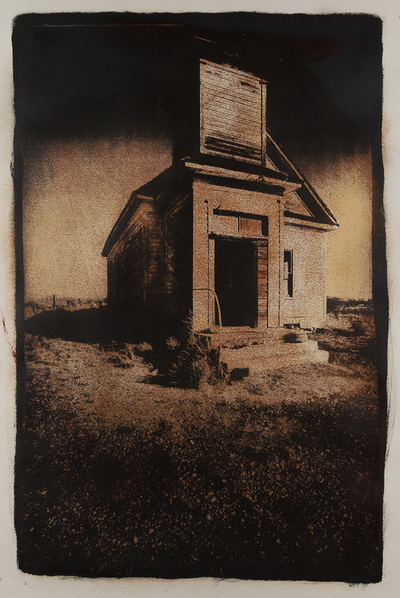 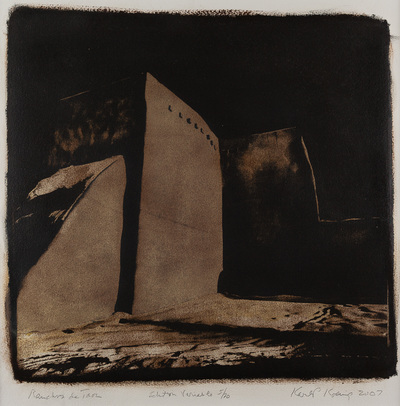 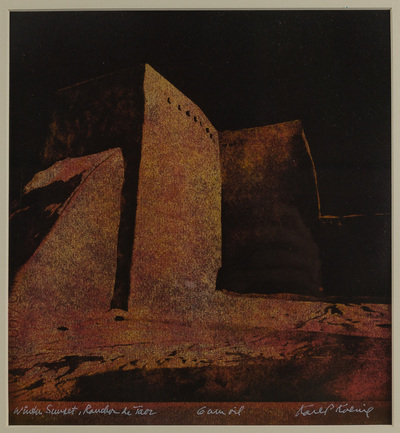 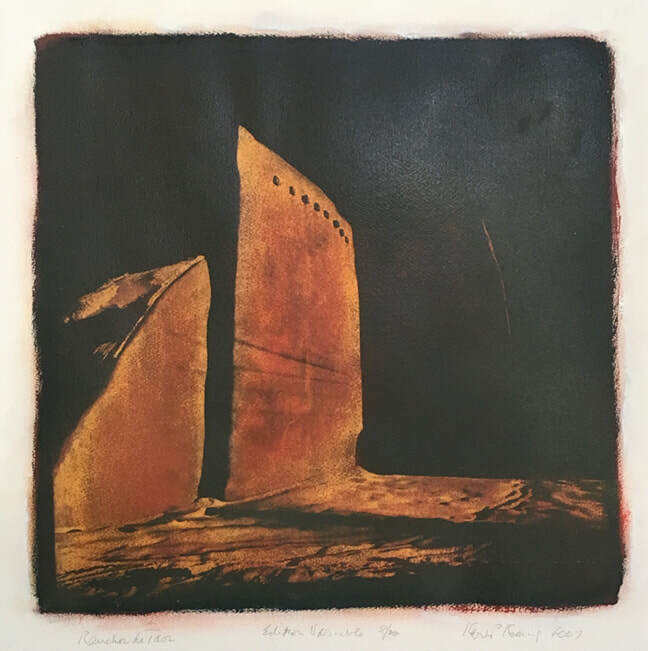 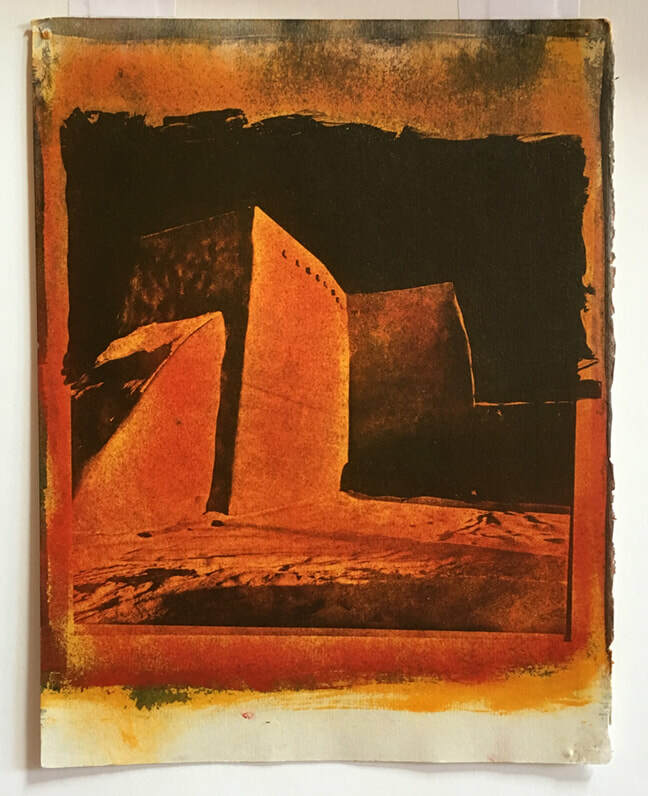 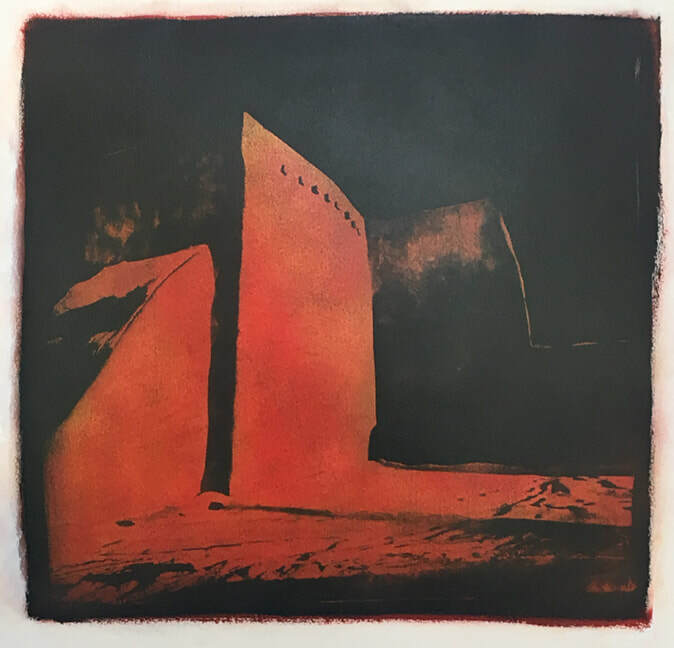 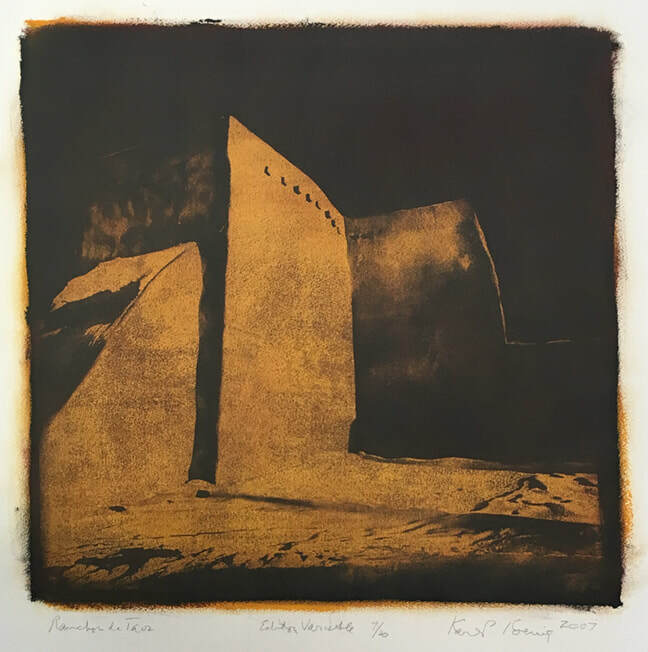 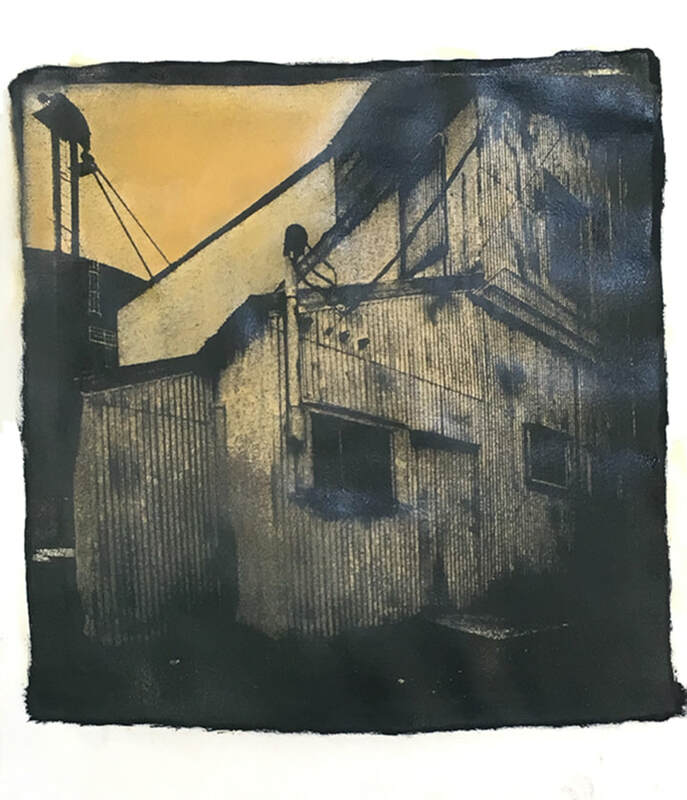 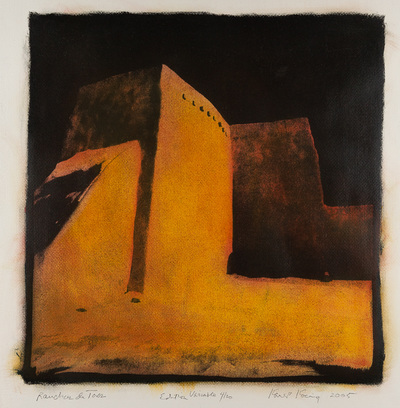 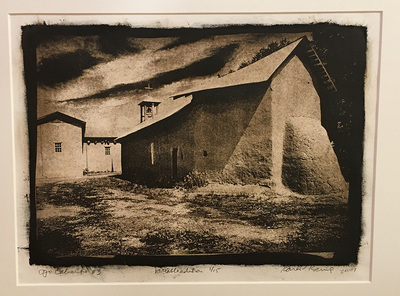 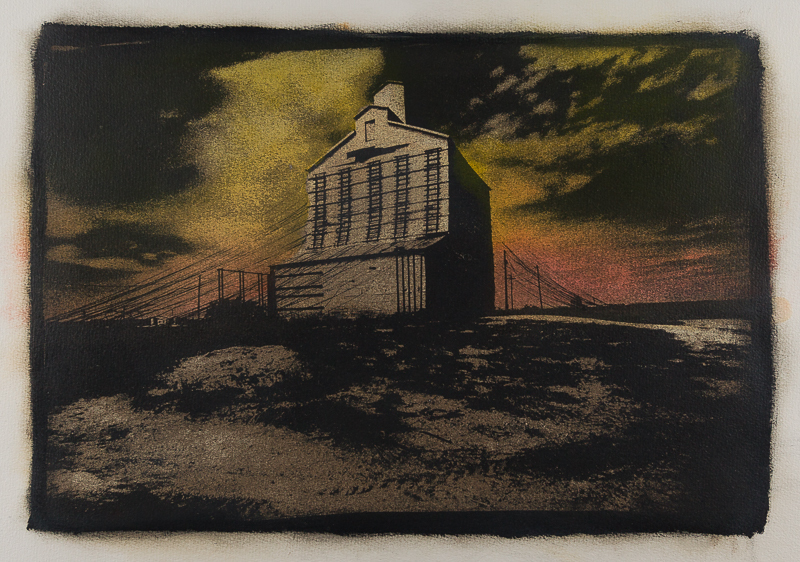 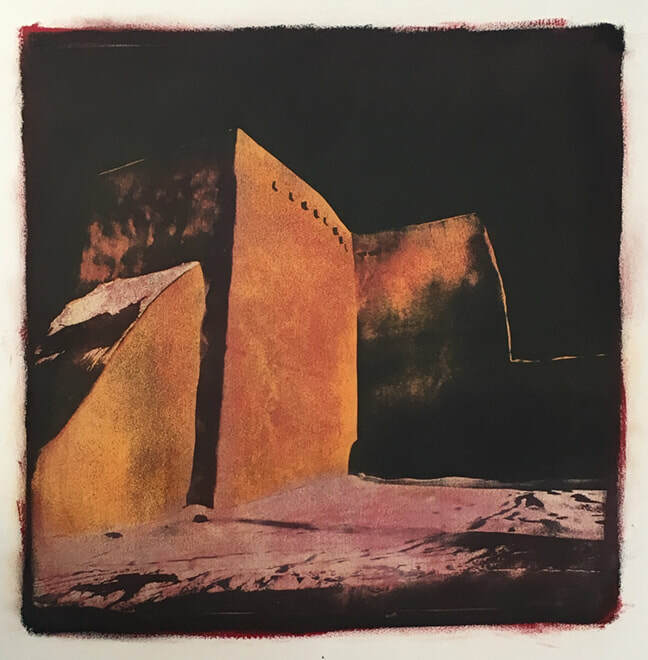 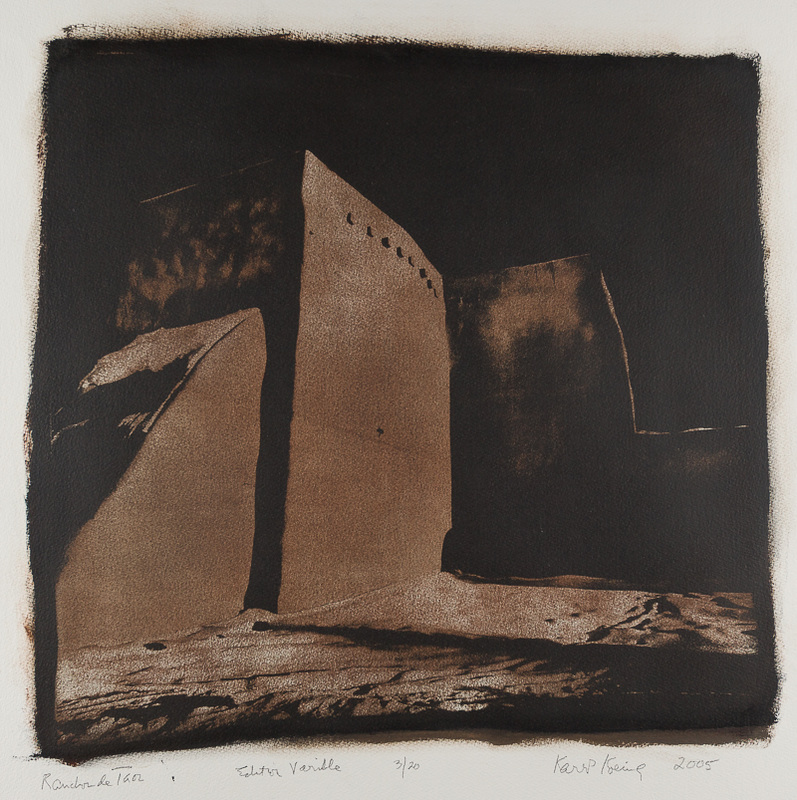 Nowhere is Karl's joy in exploring color, light, shadows of a subject more evident than in his signature Ranchos de Taos prints. 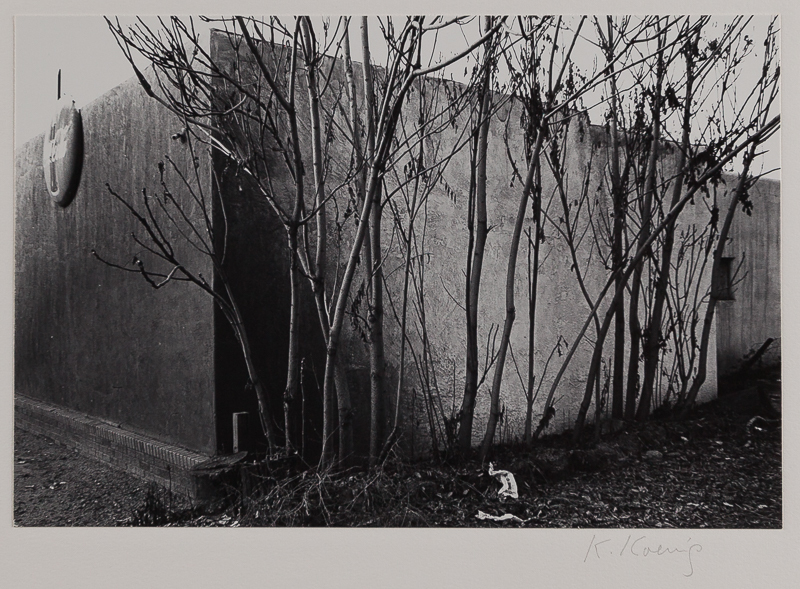 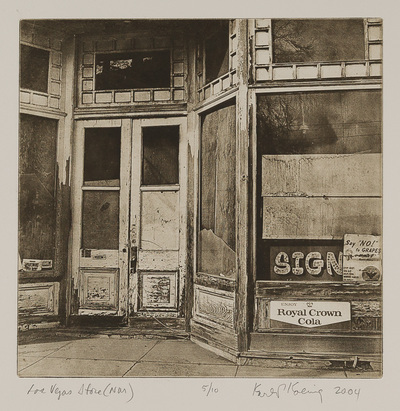 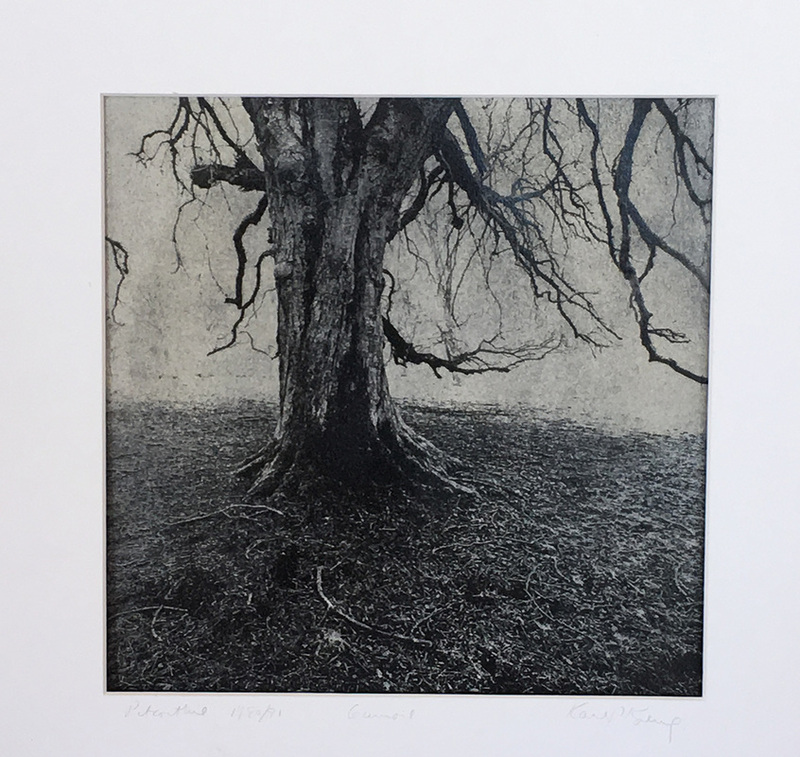 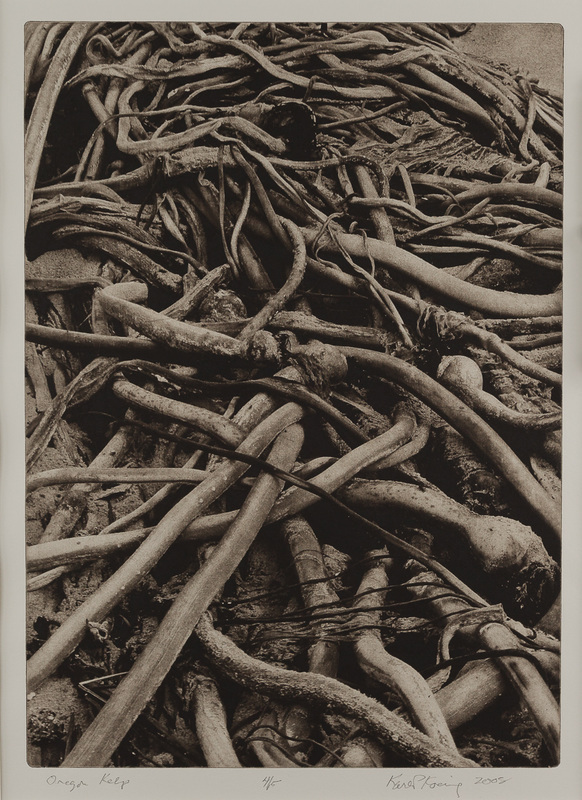 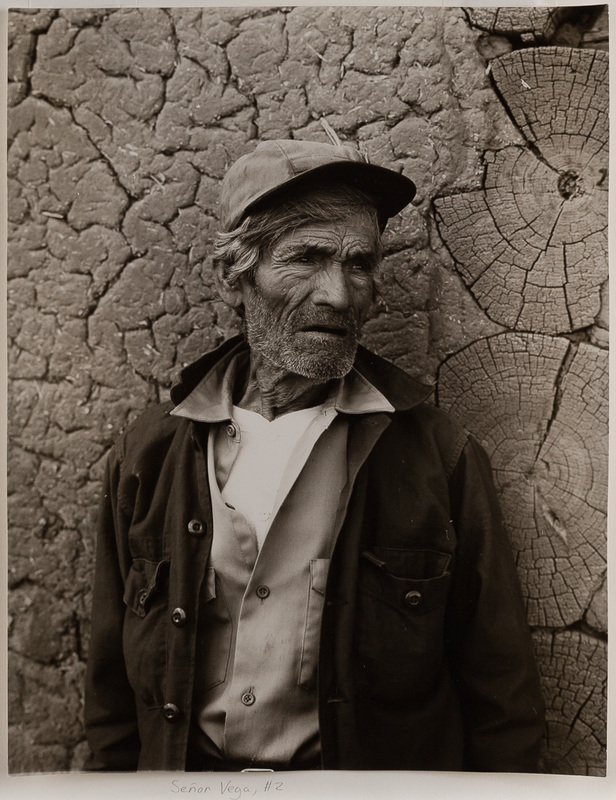 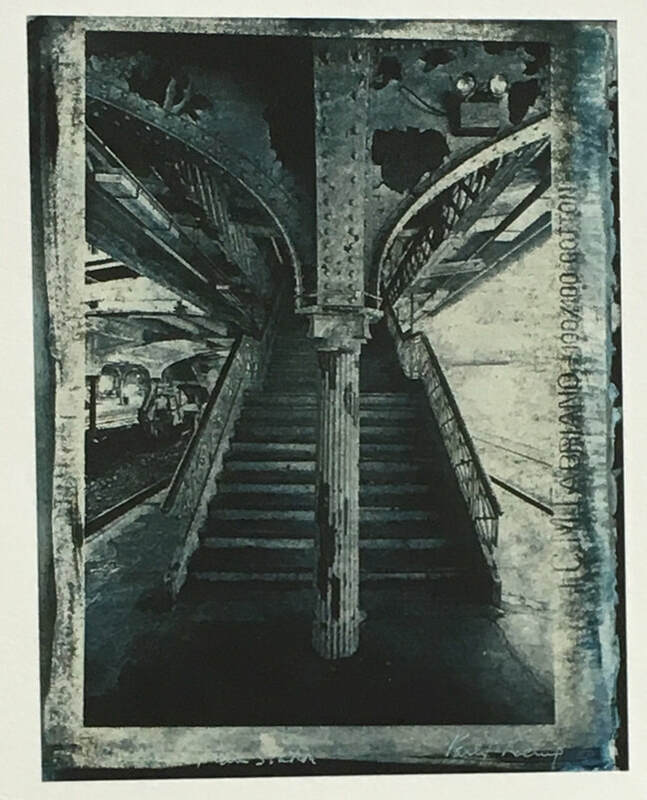 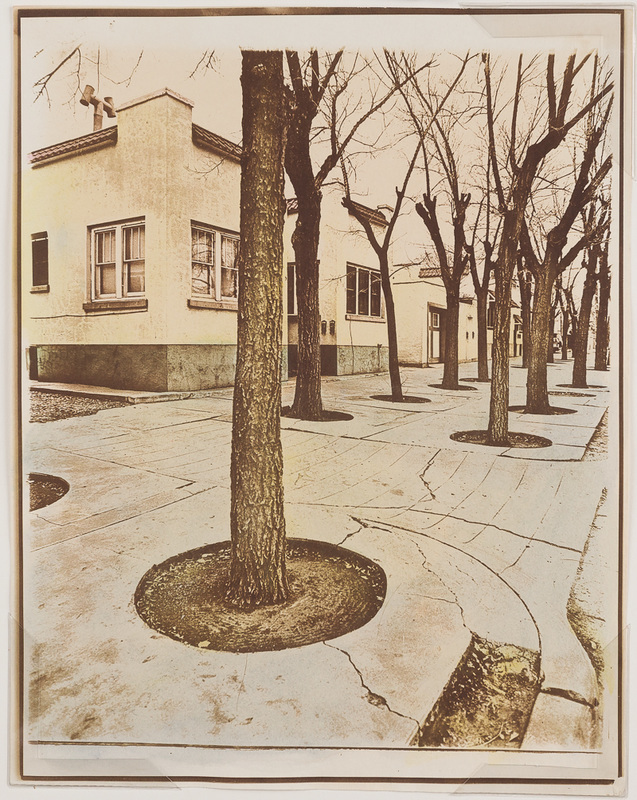 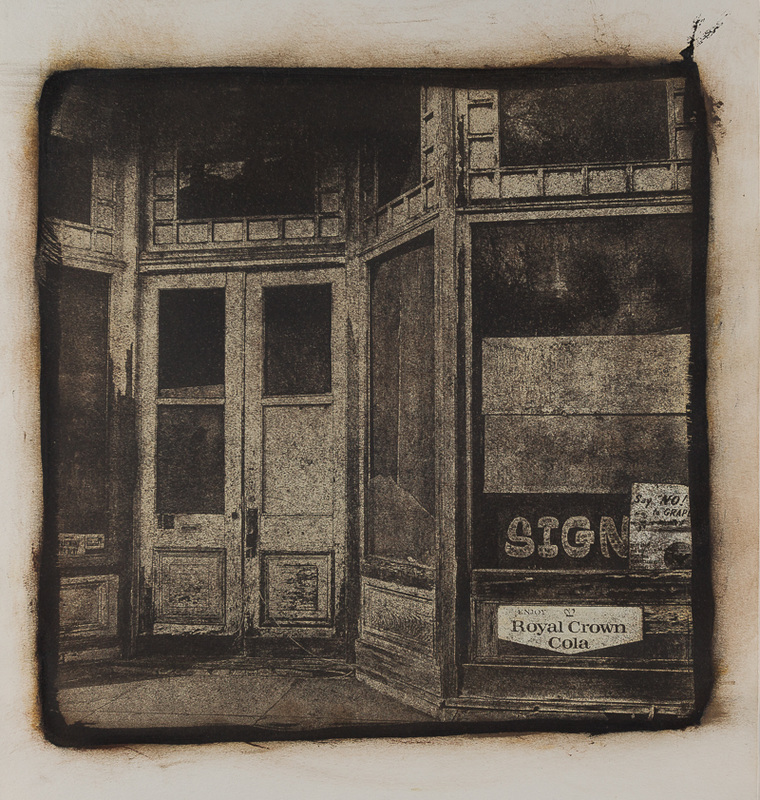 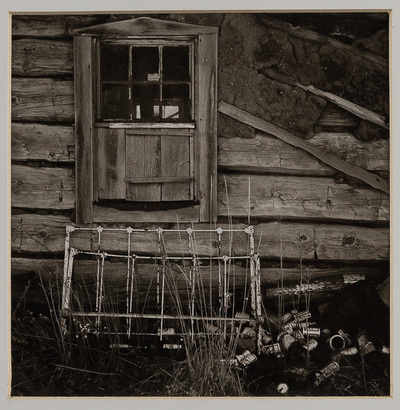 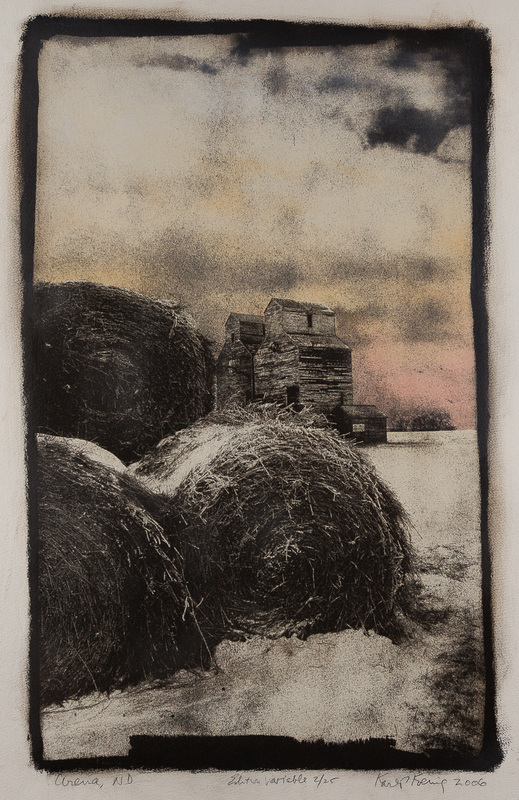 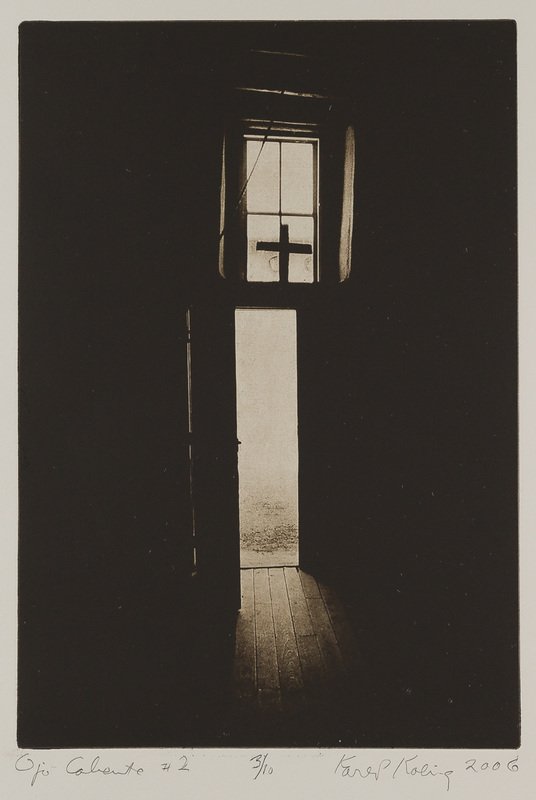 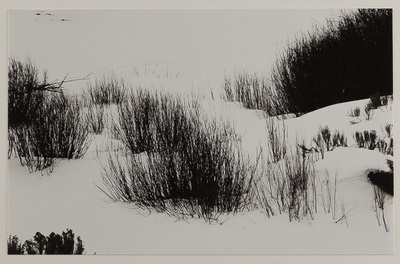 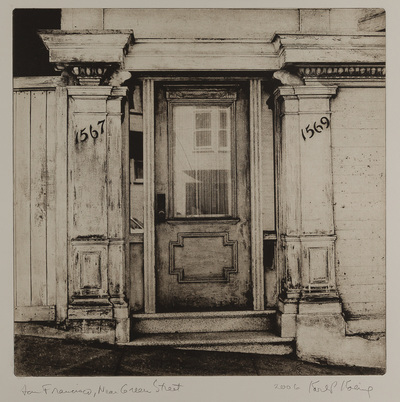 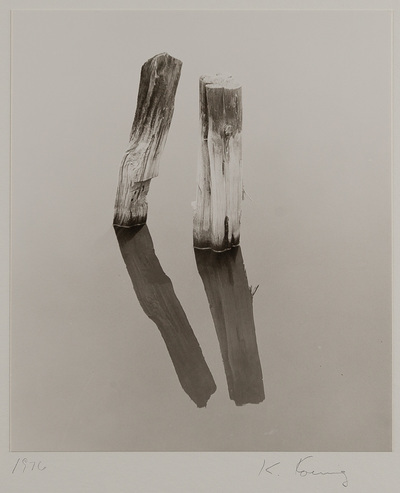 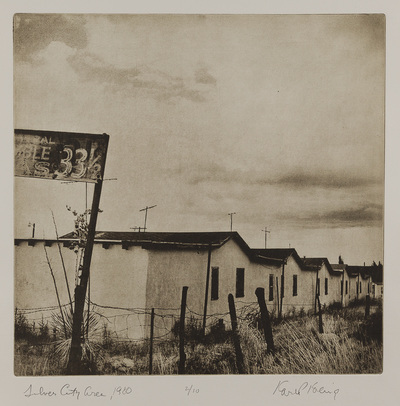 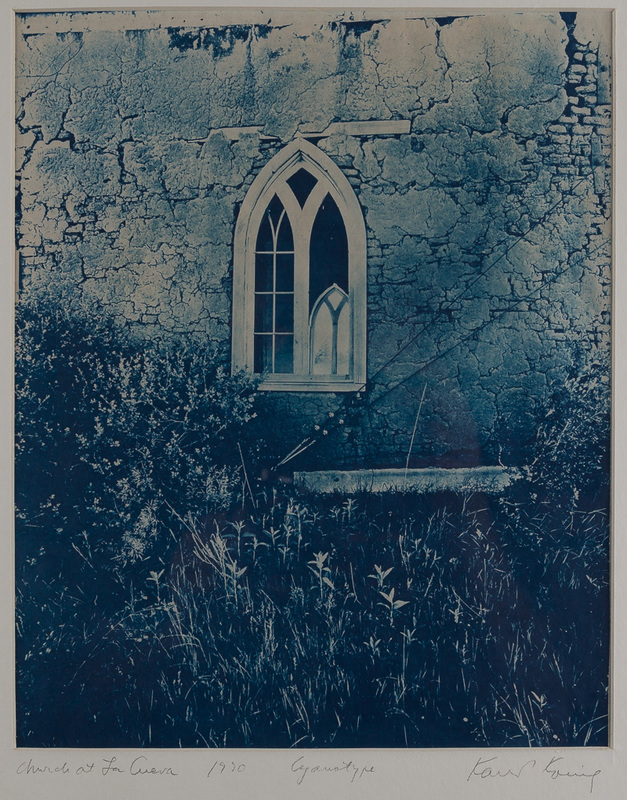 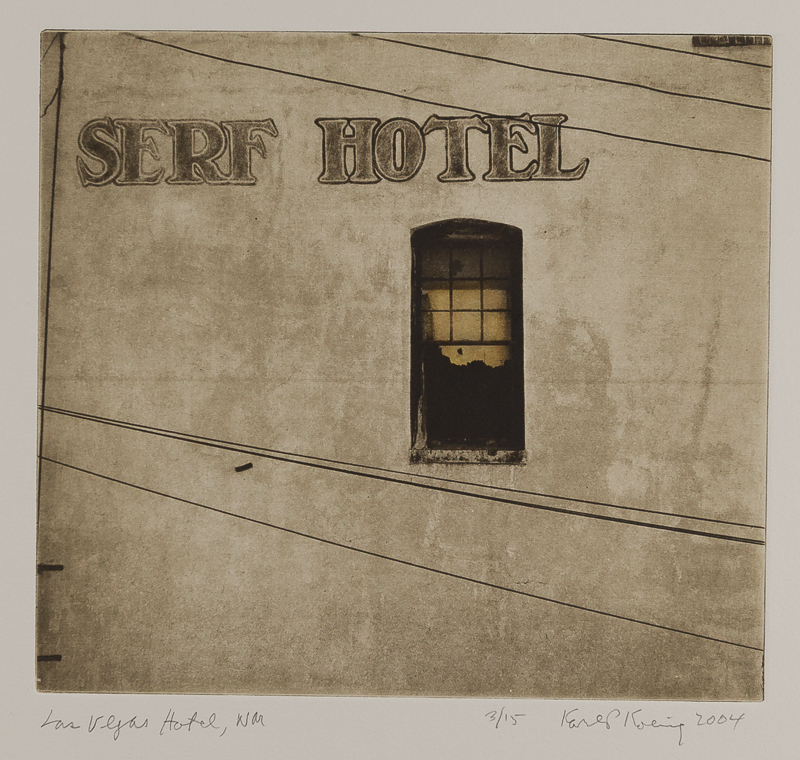 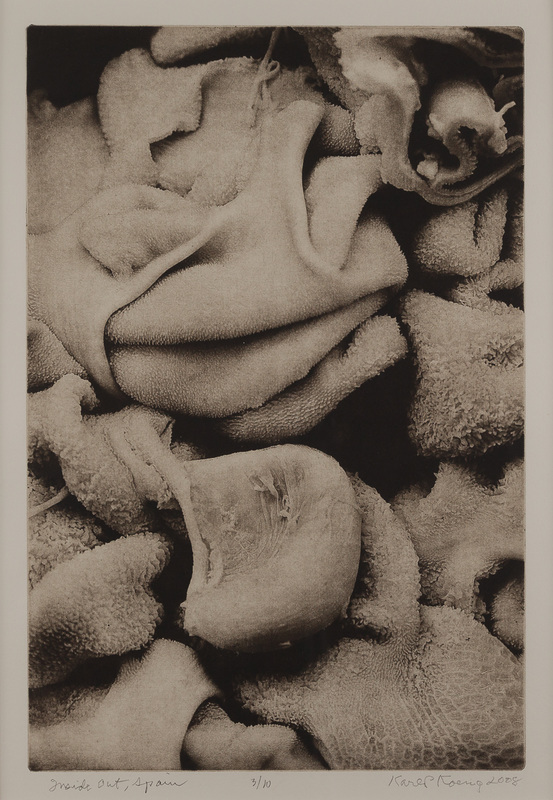 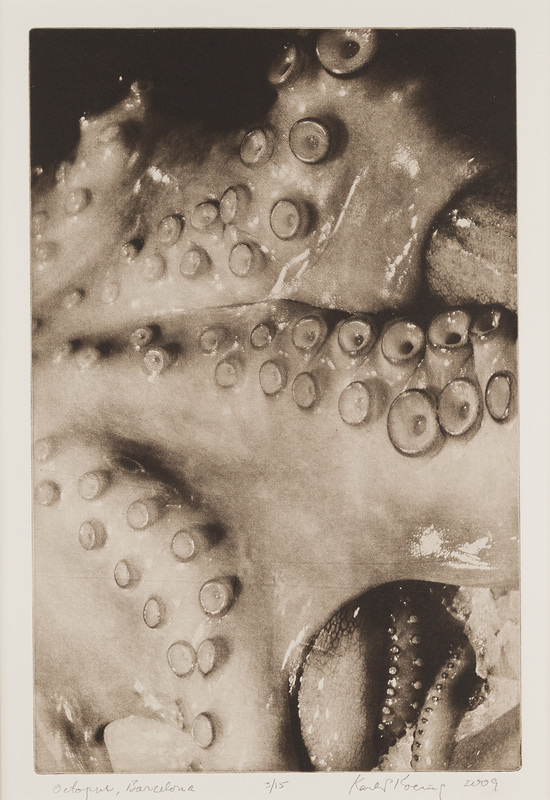 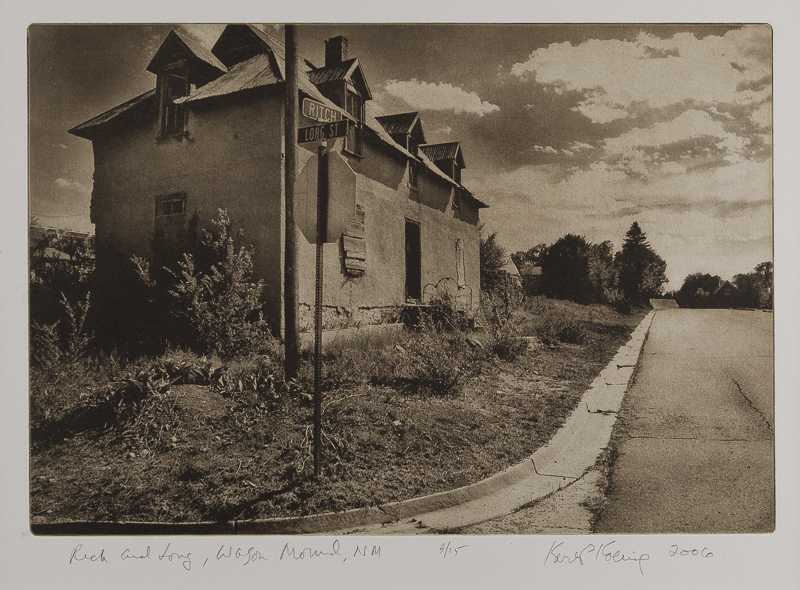 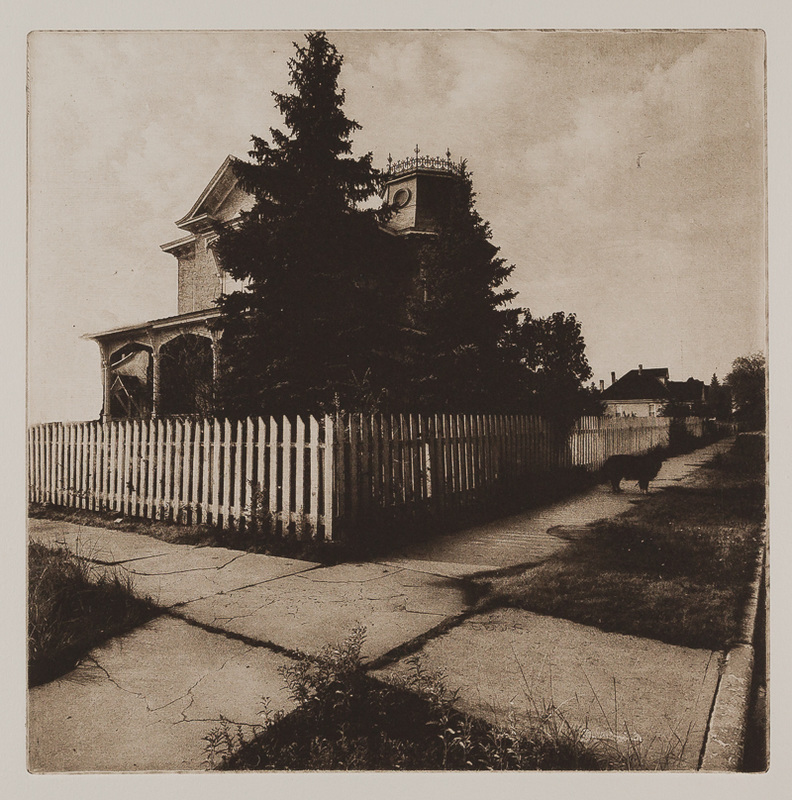 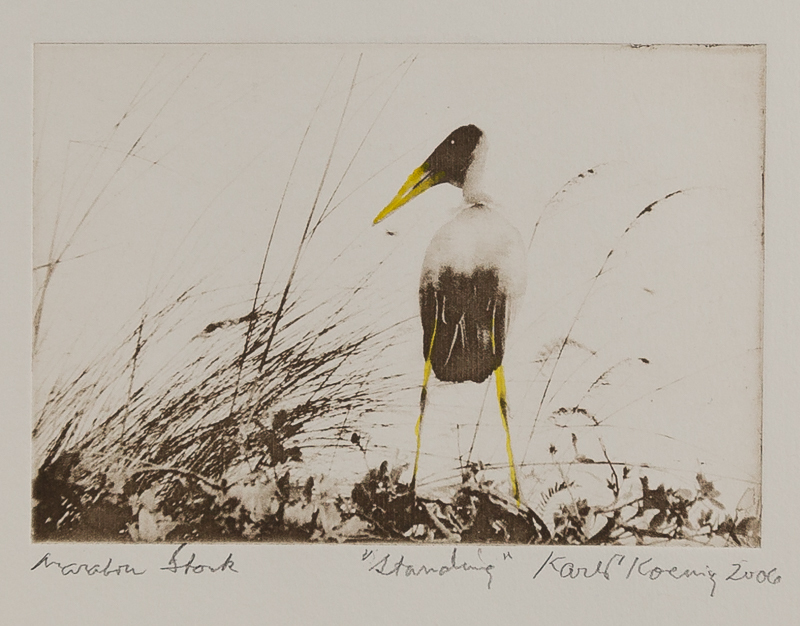 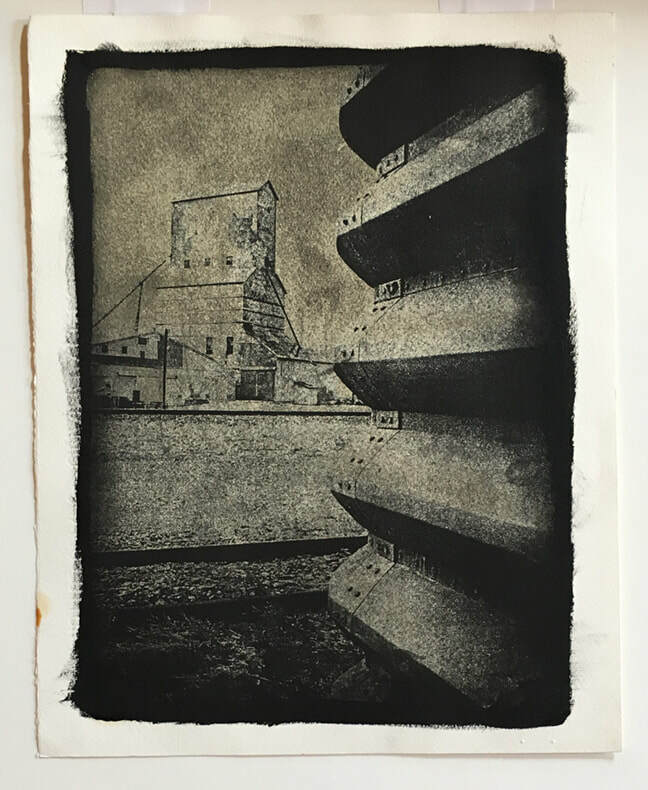 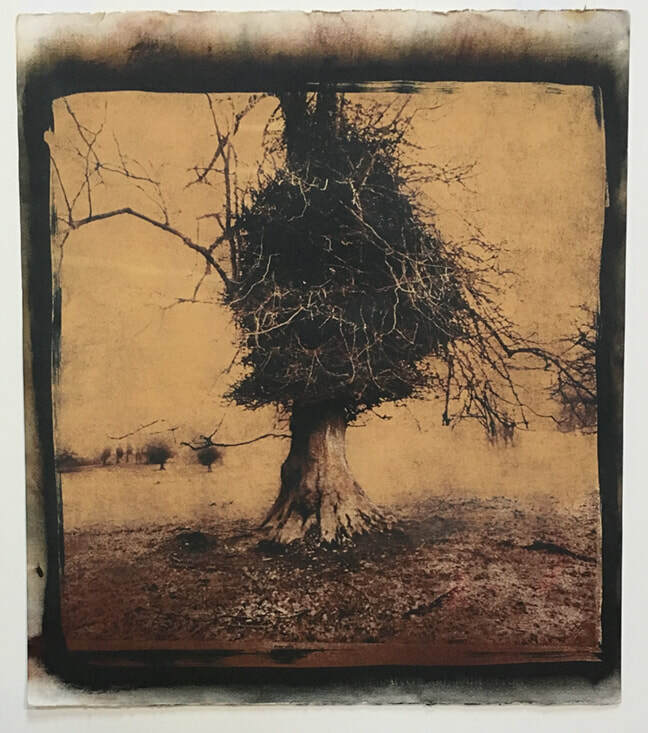 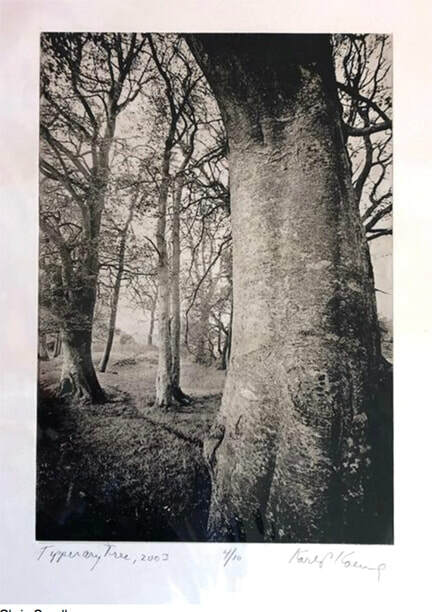 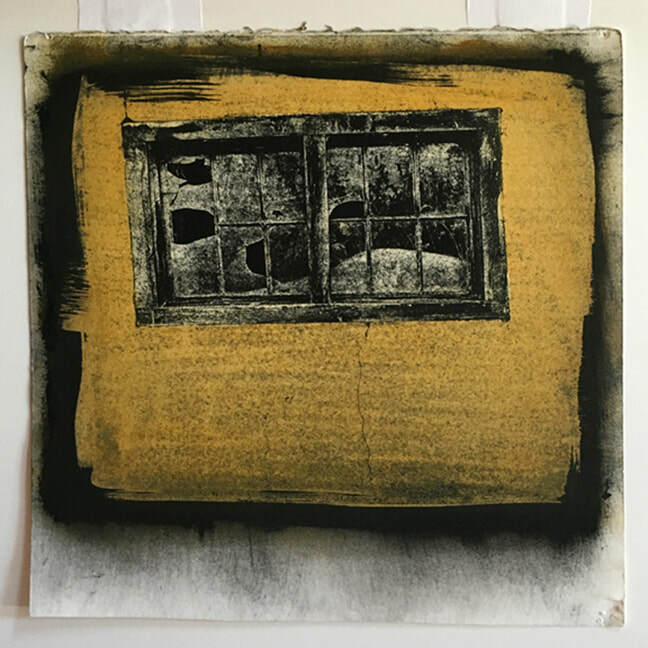 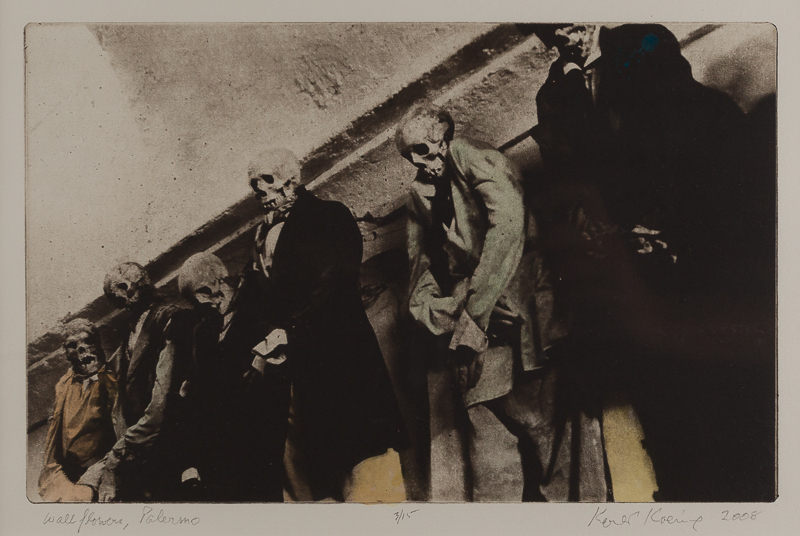 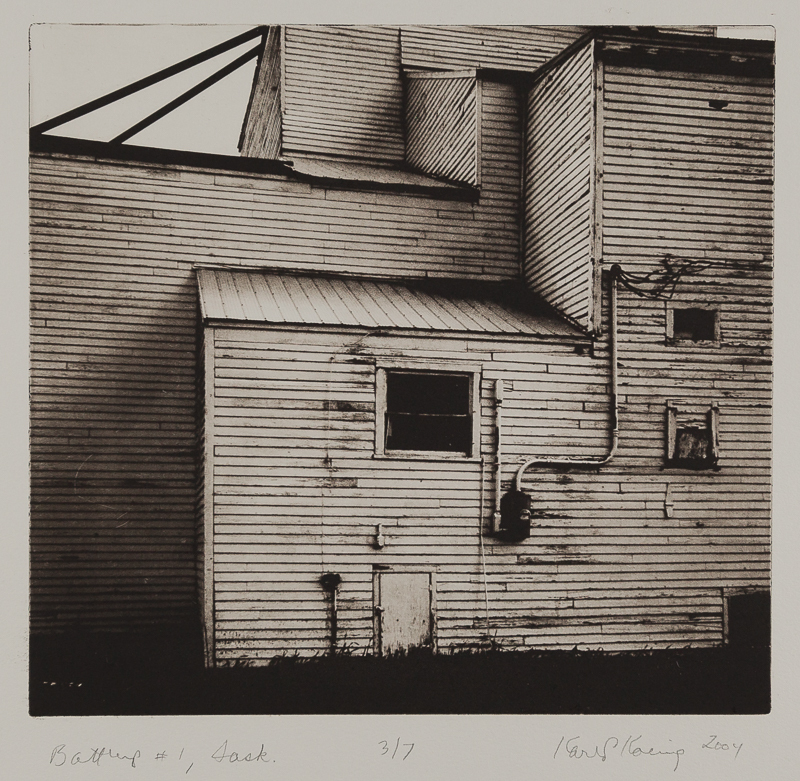 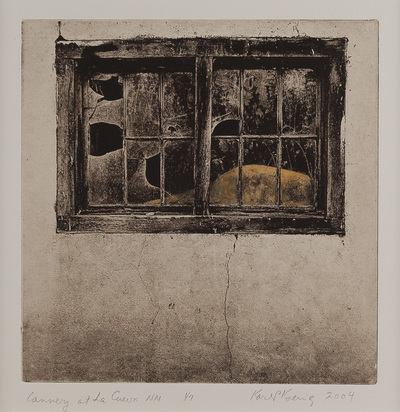 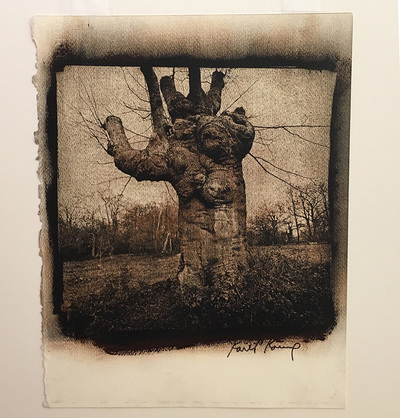 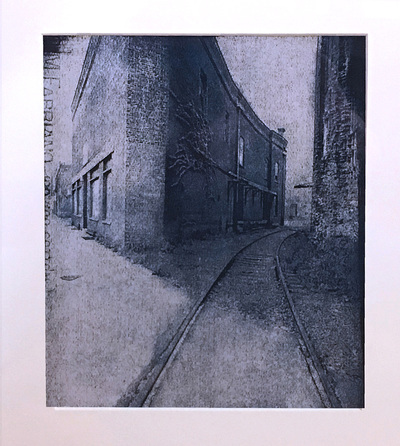 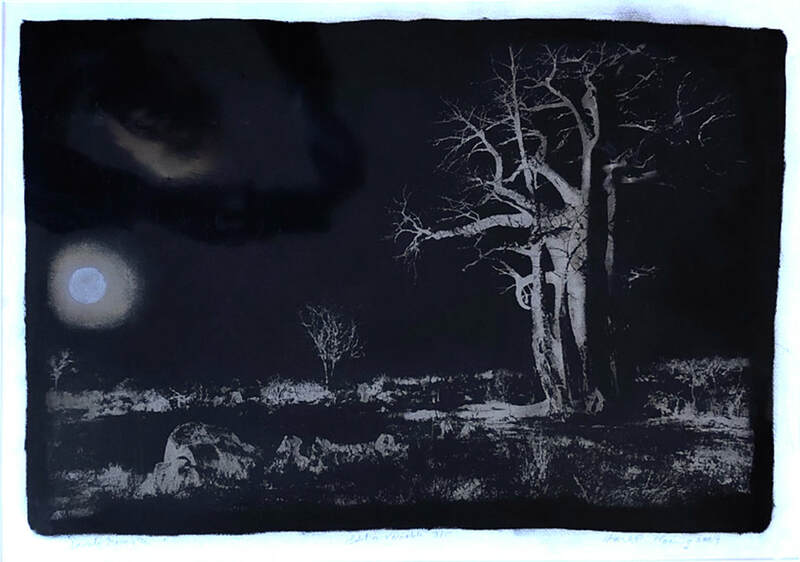 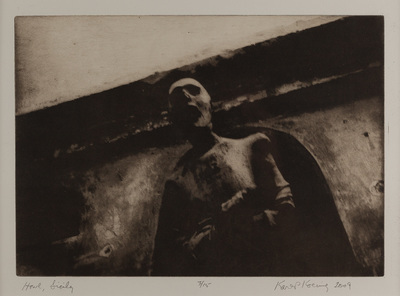 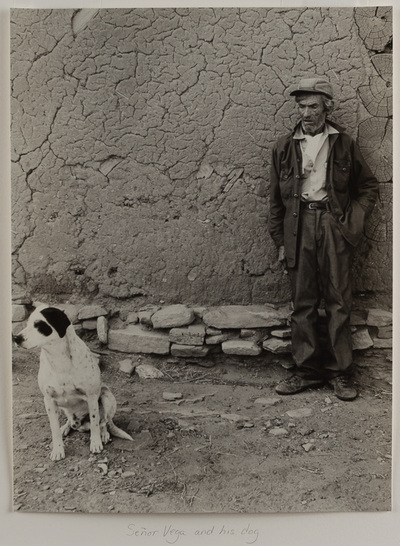 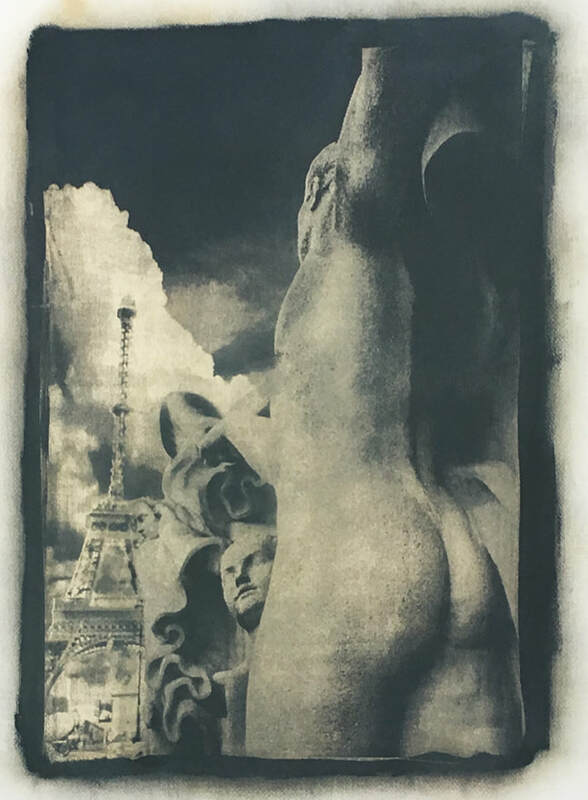 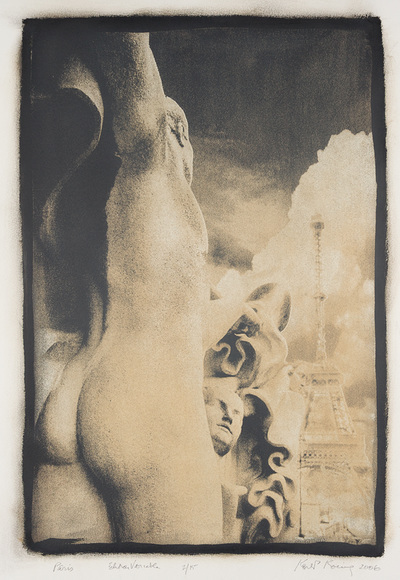 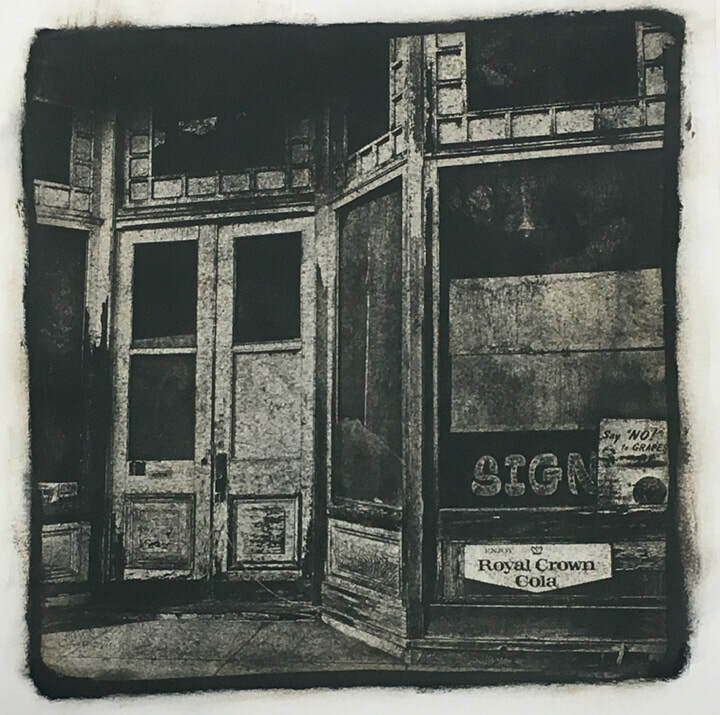 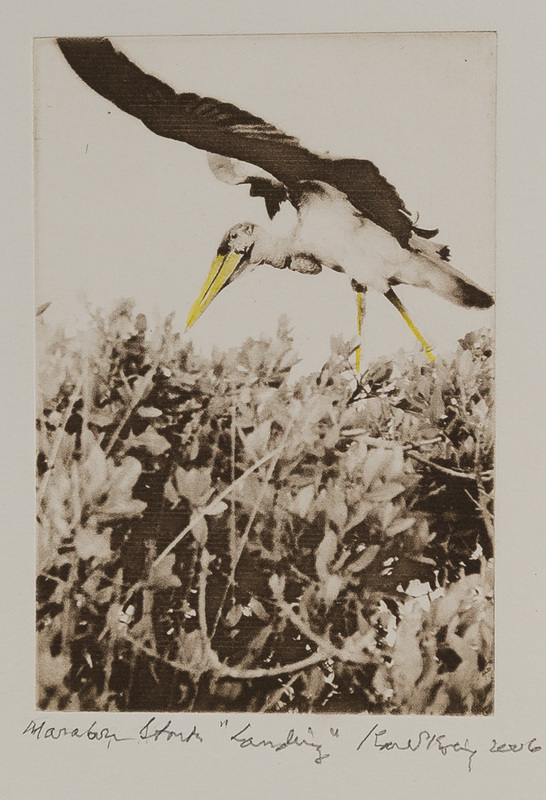 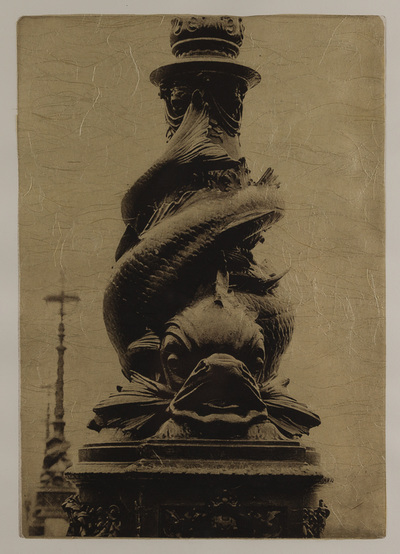 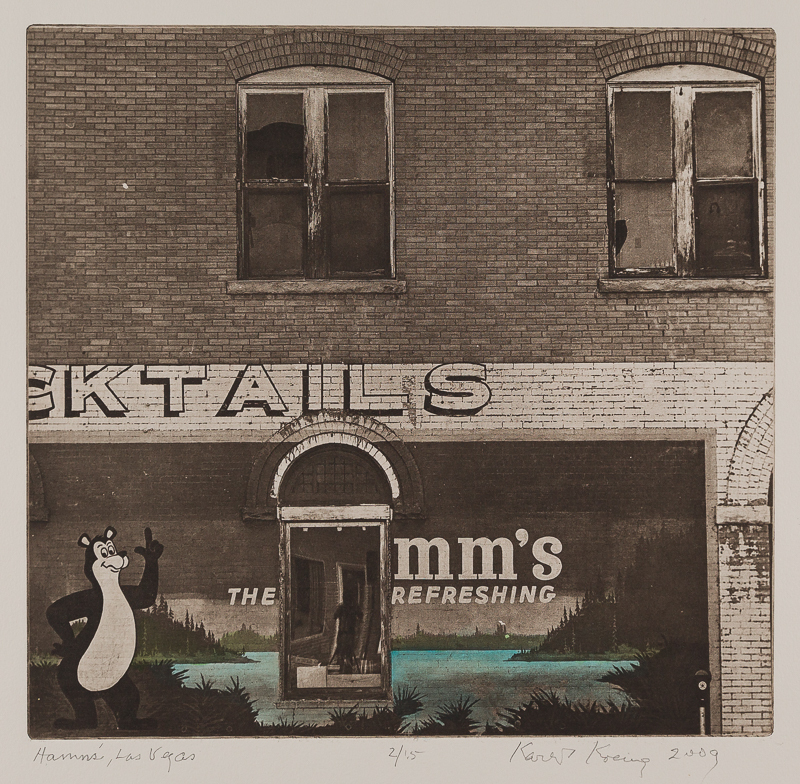 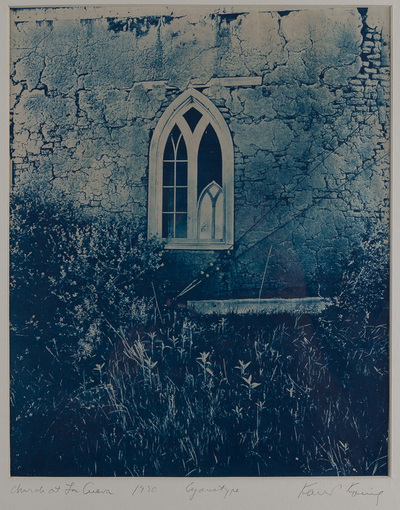 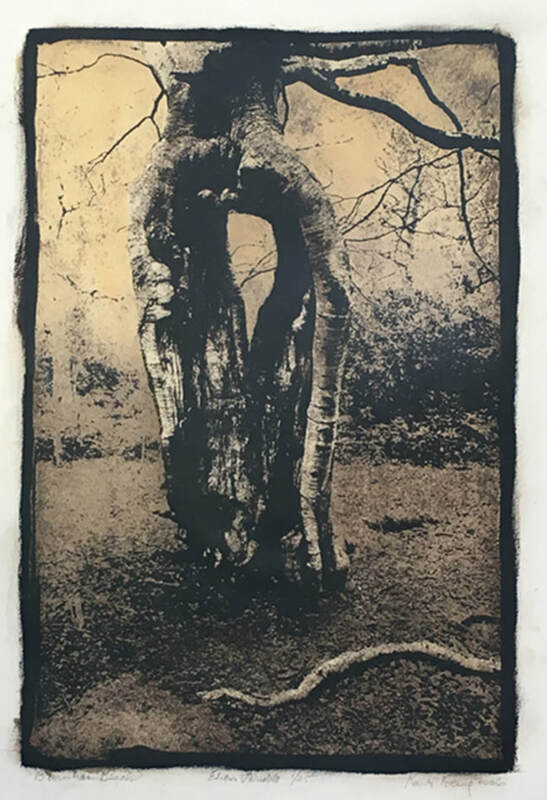 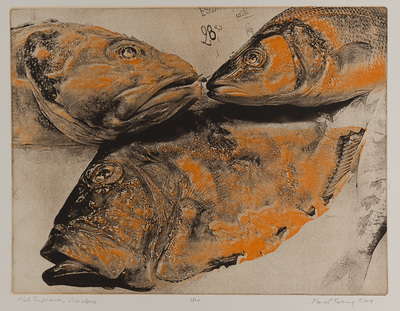 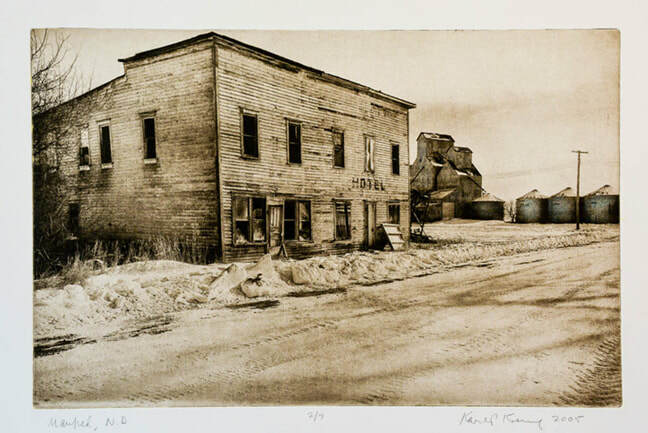 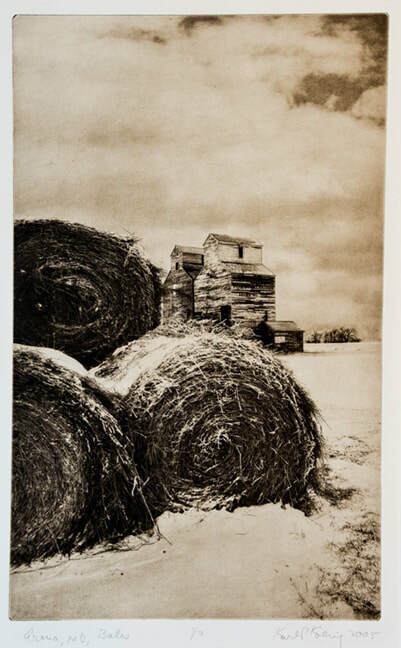 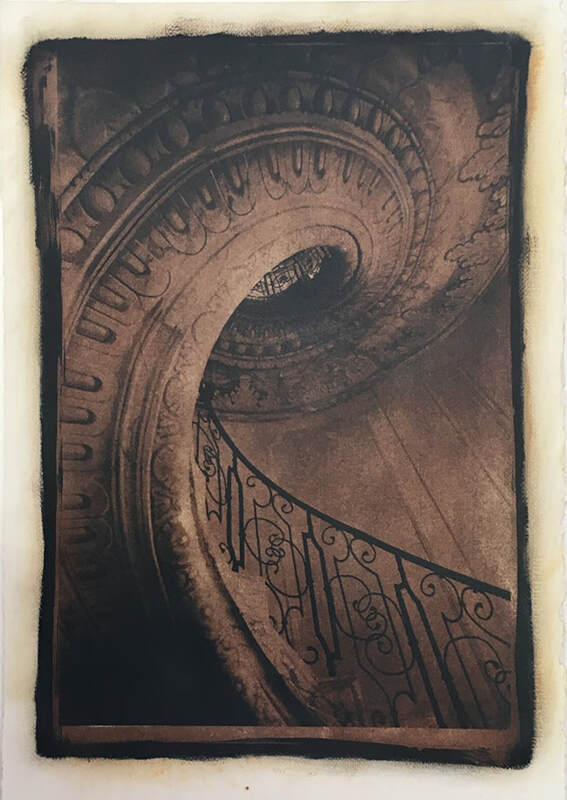 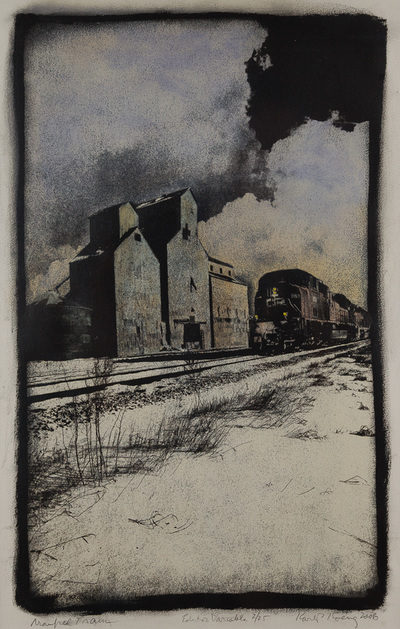 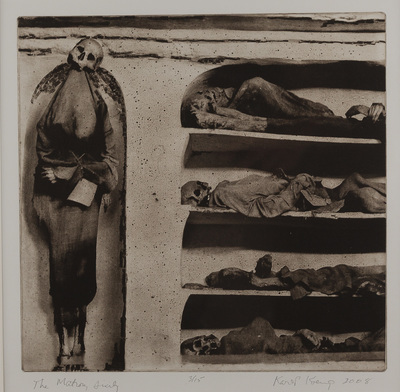 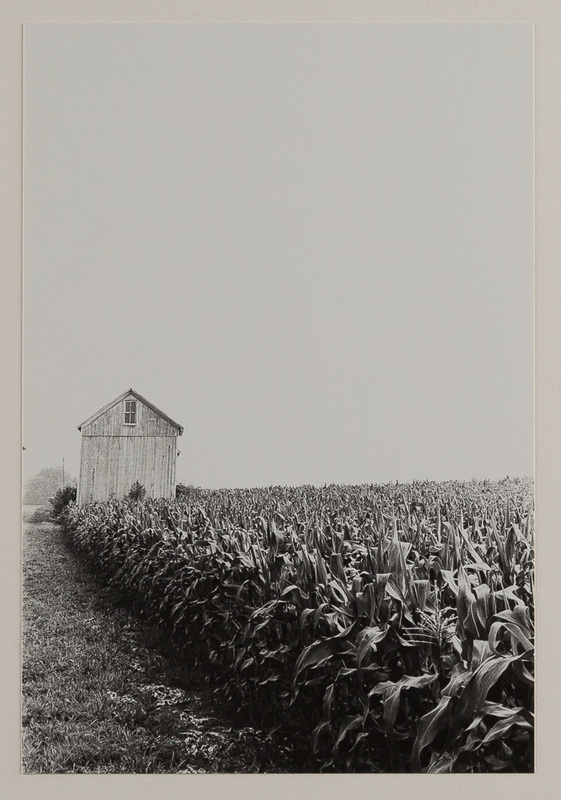 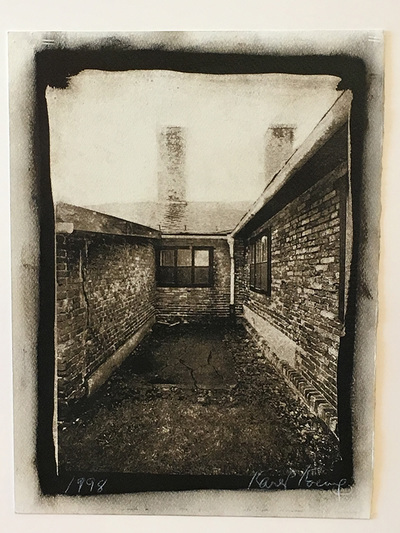 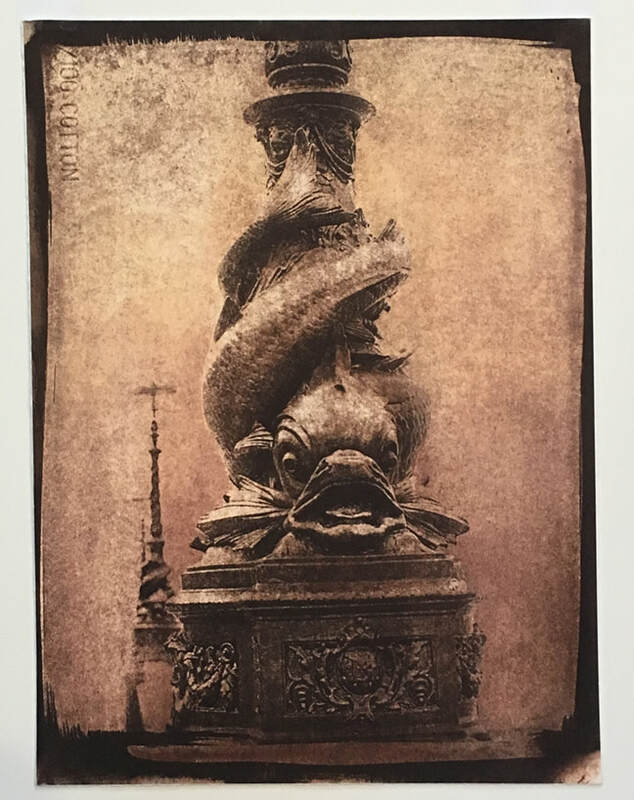 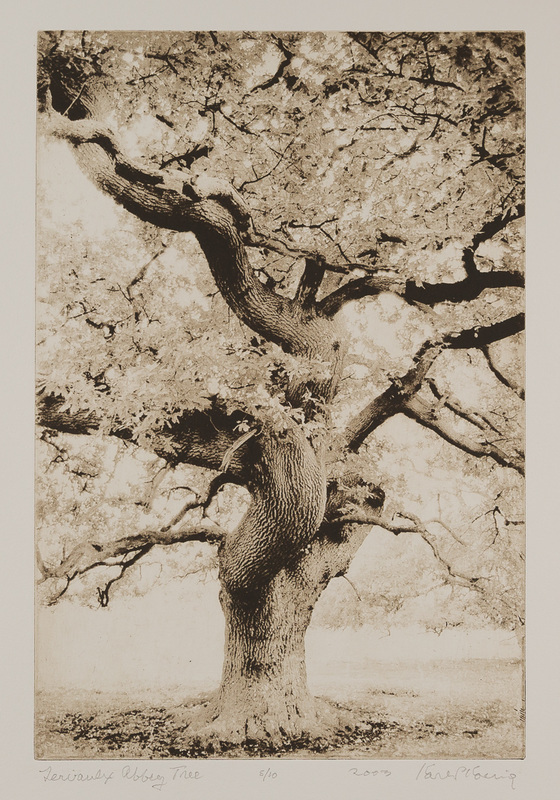 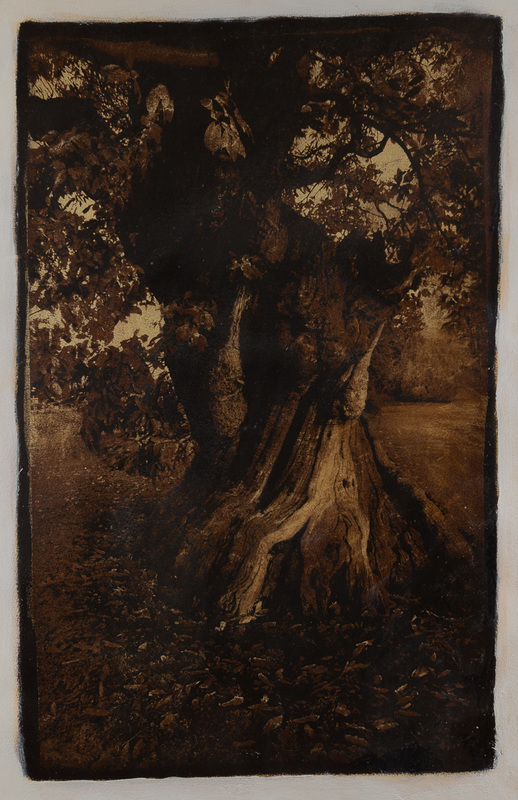 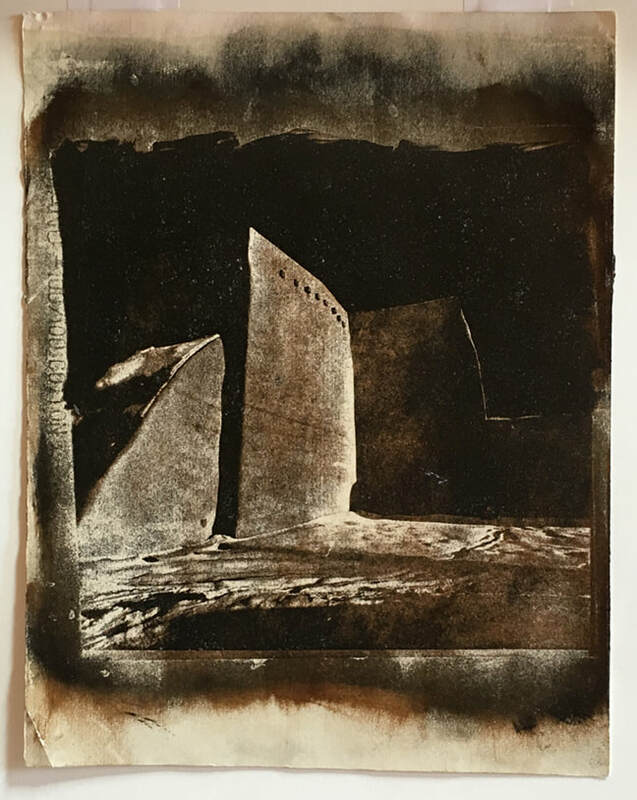 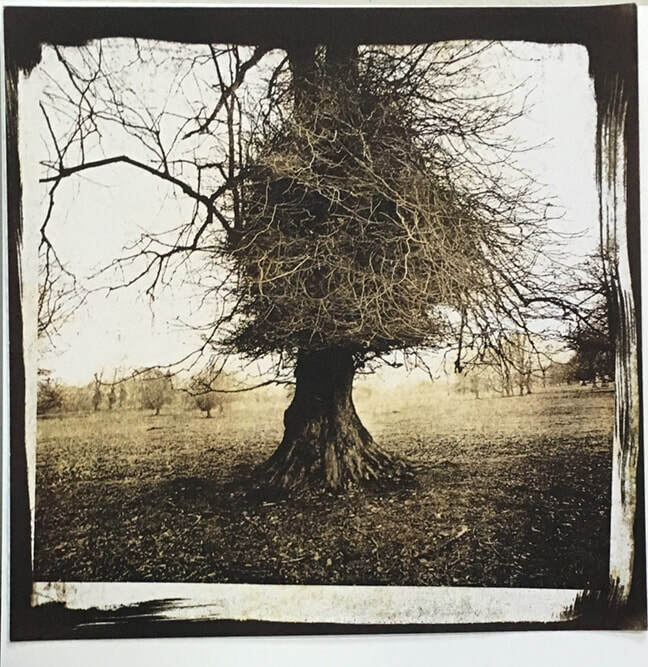 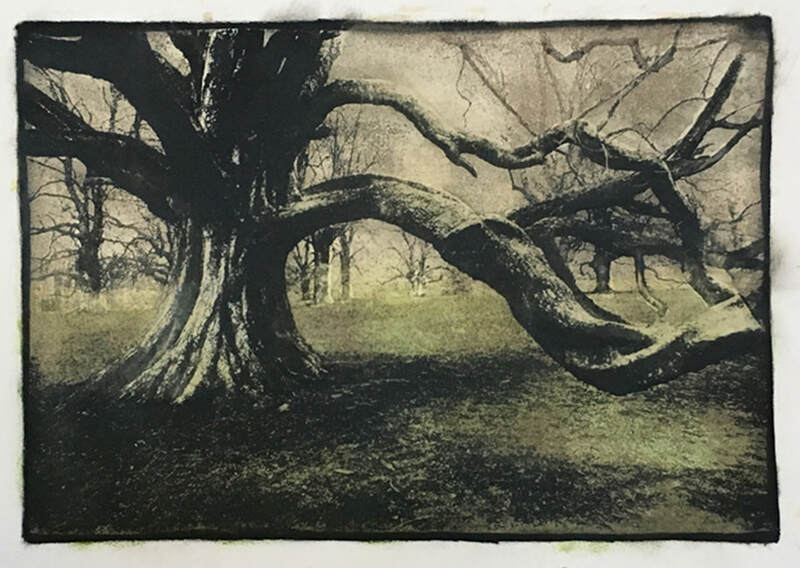 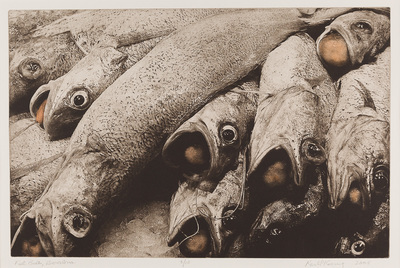 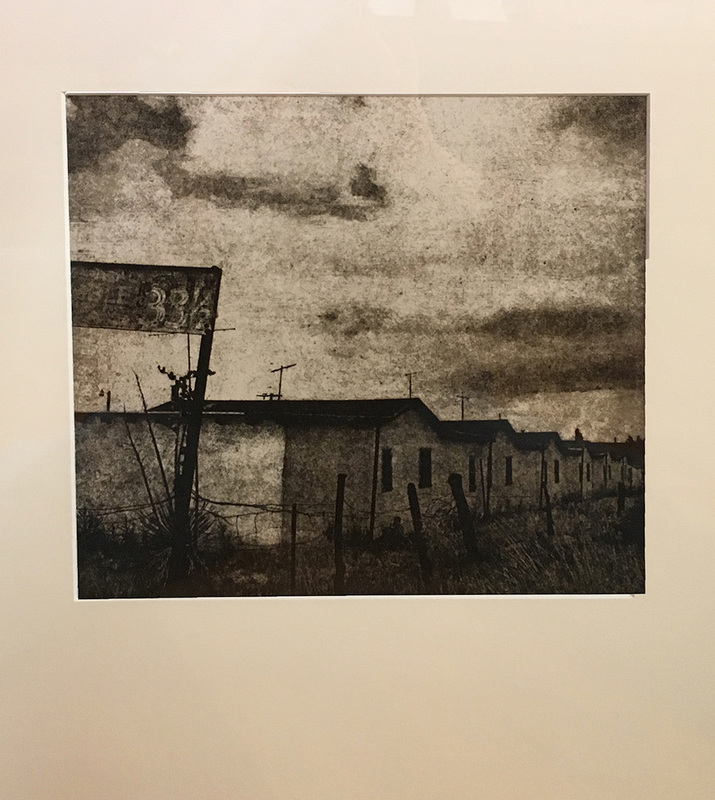 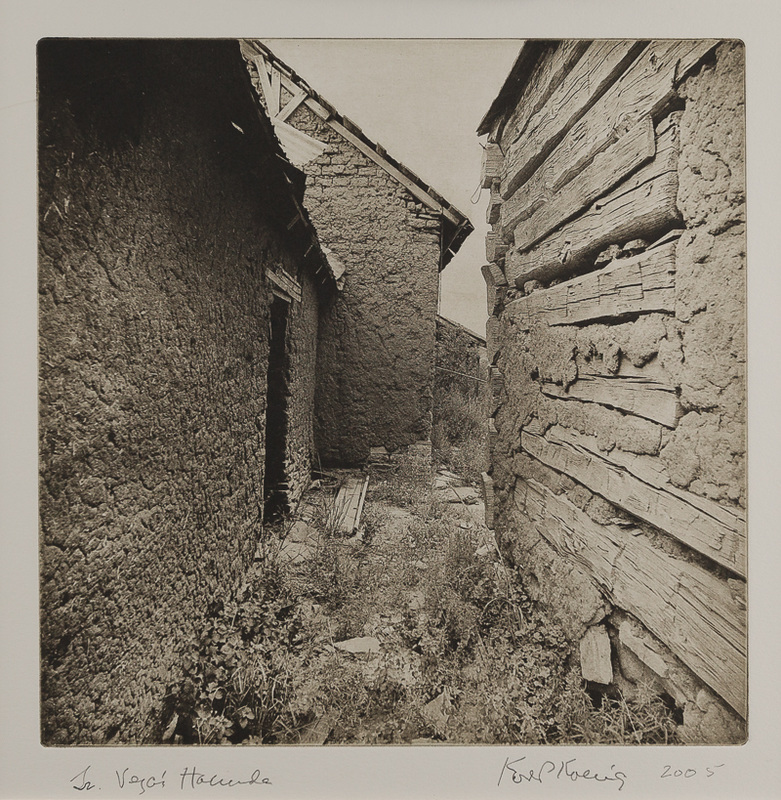 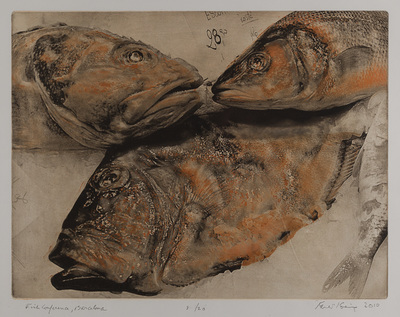 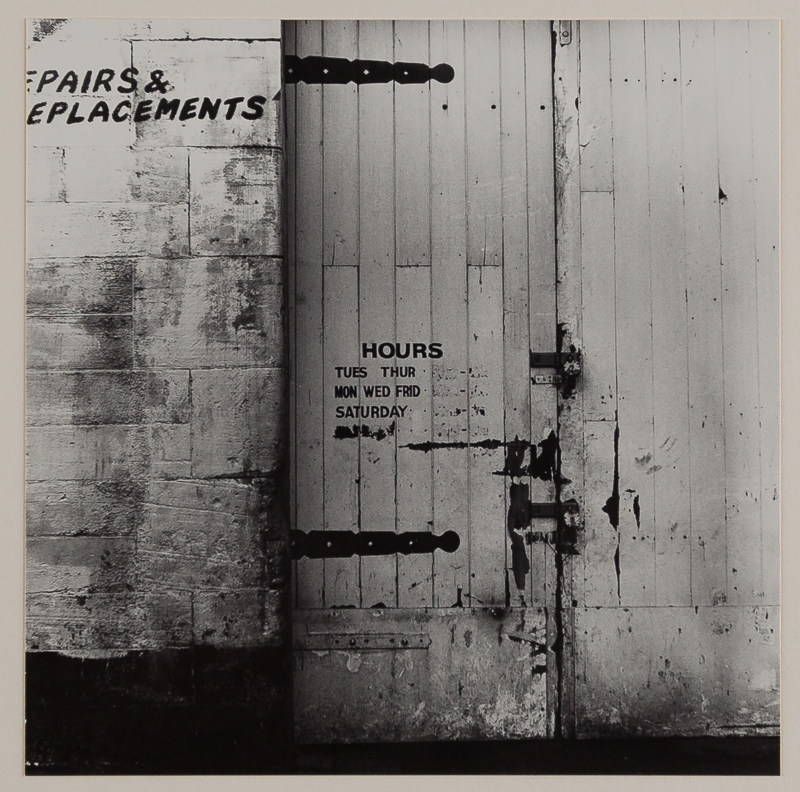 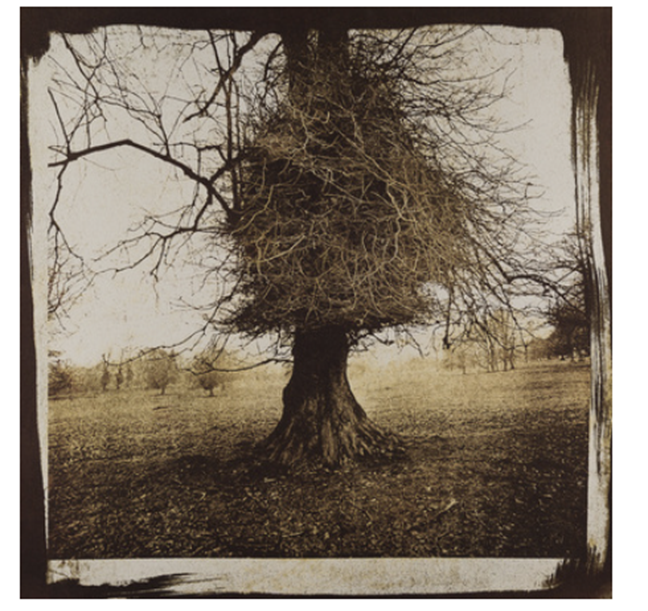 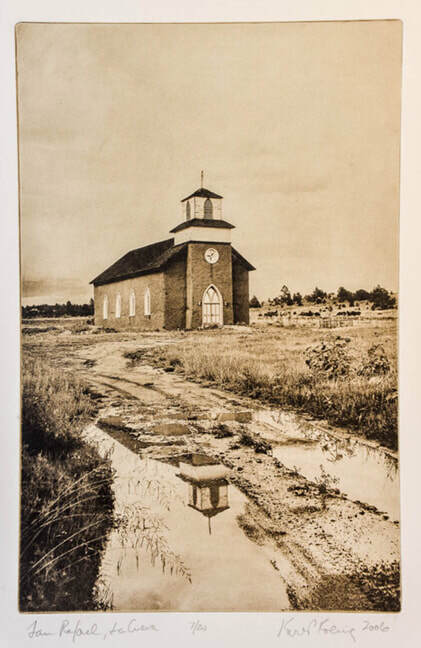 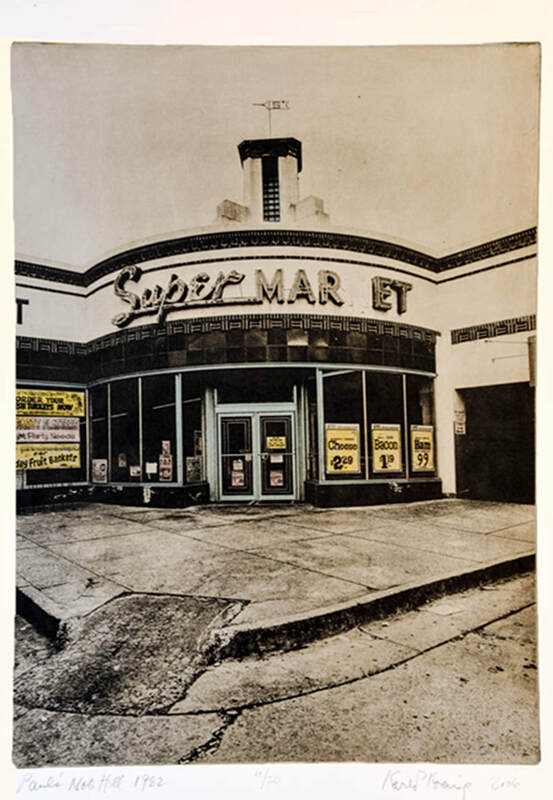 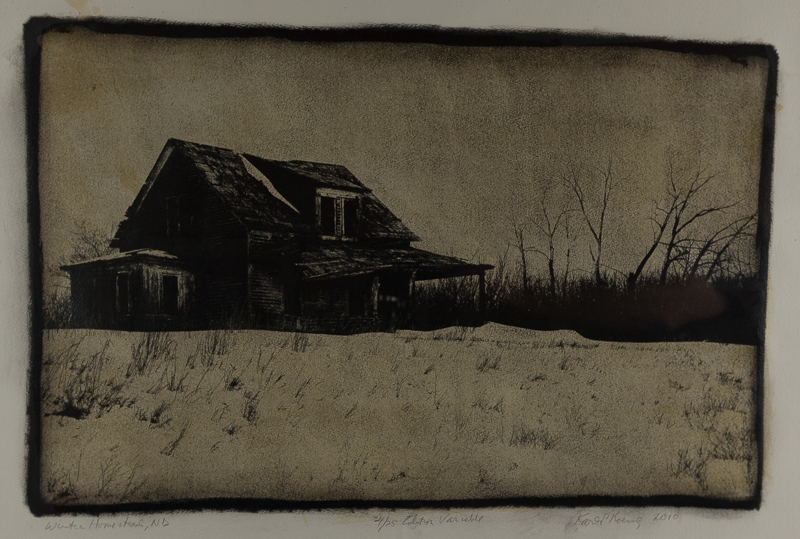 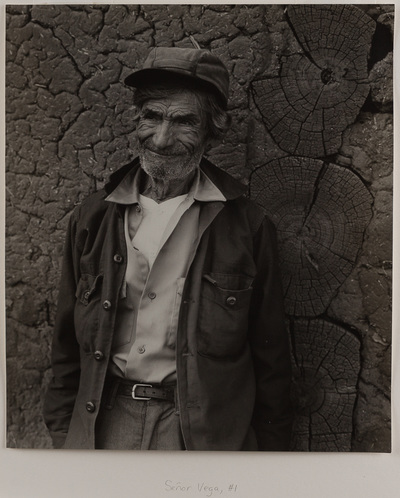 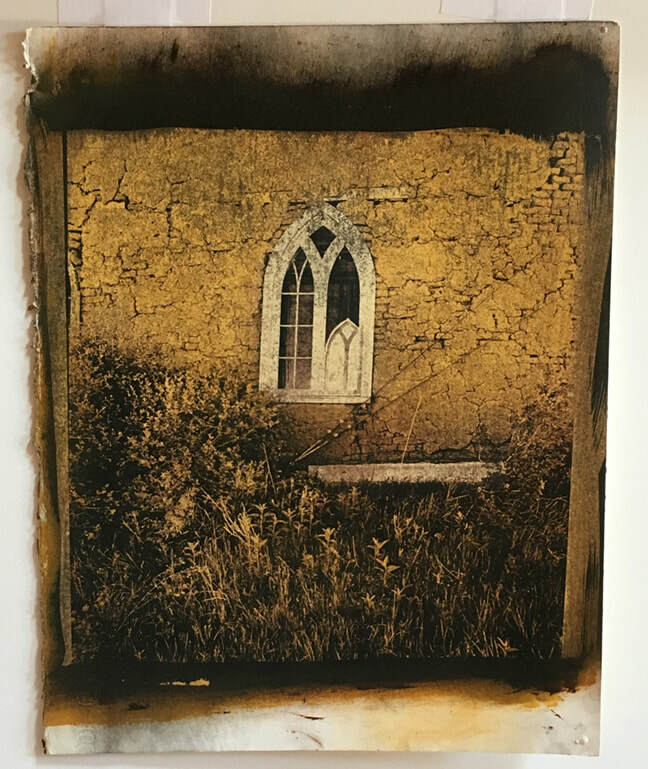 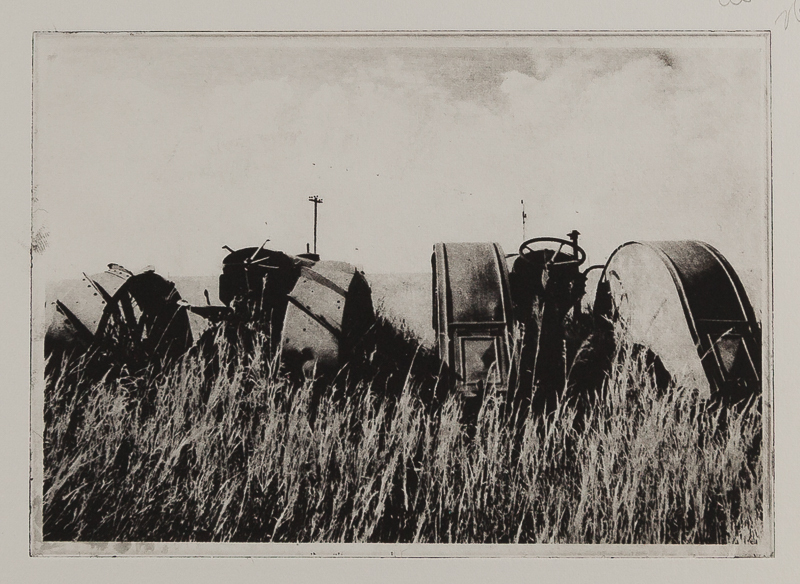 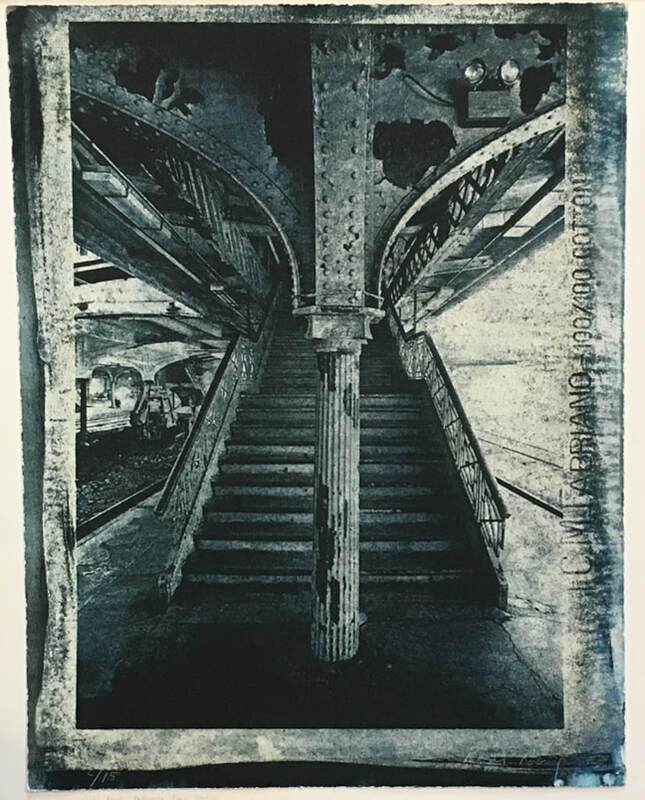 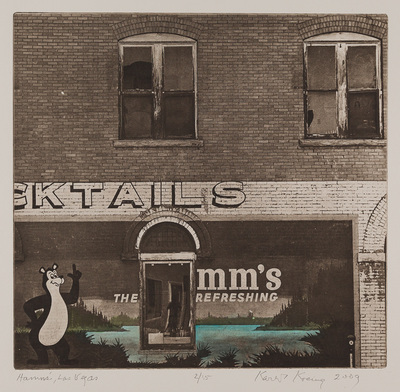 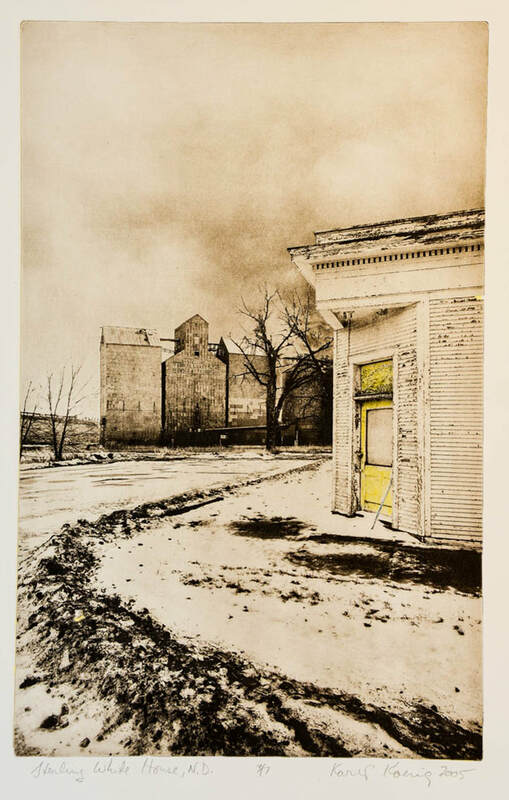 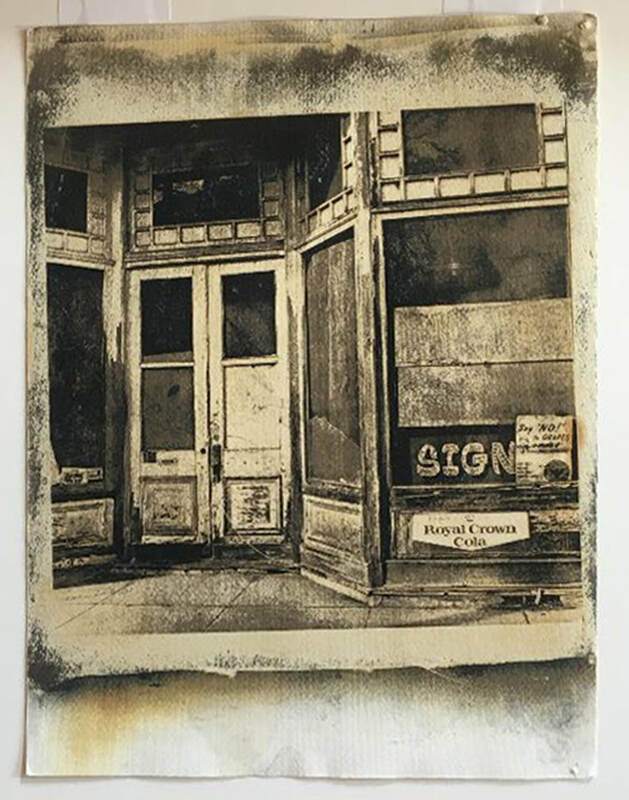 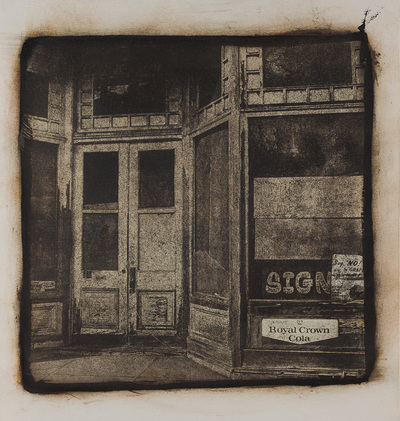 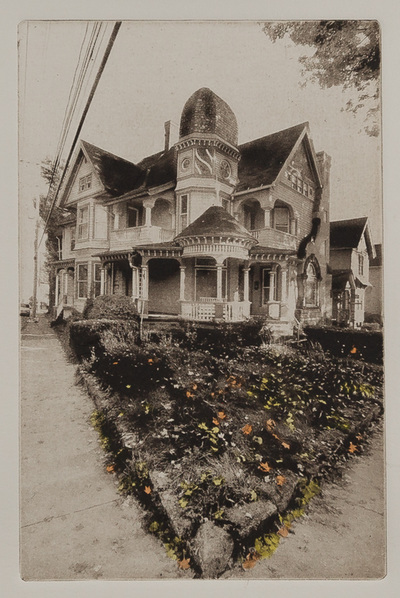 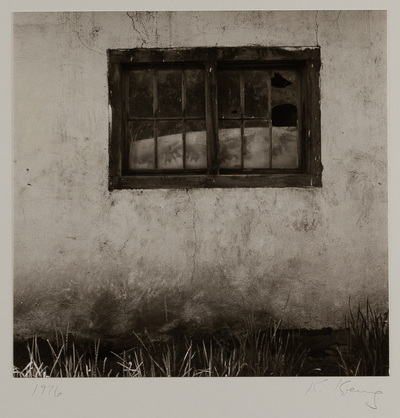 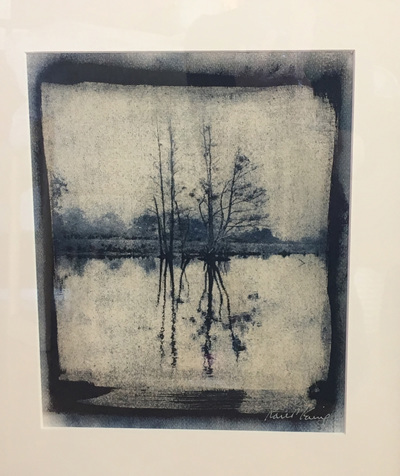 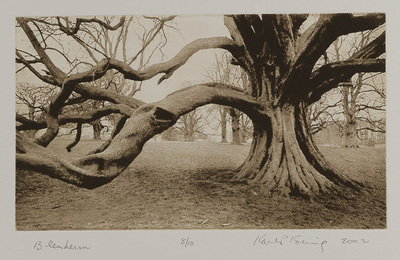 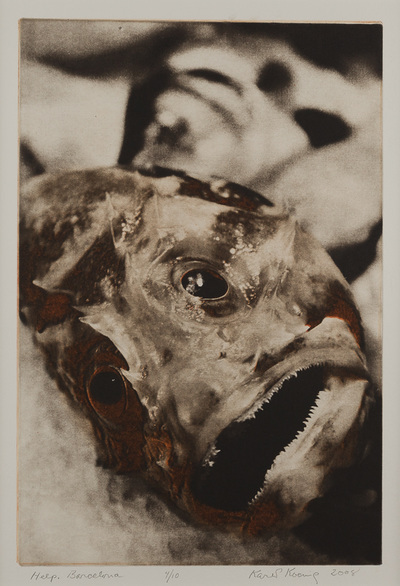 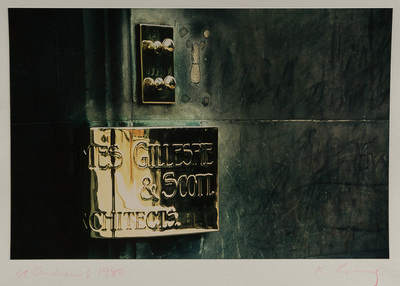 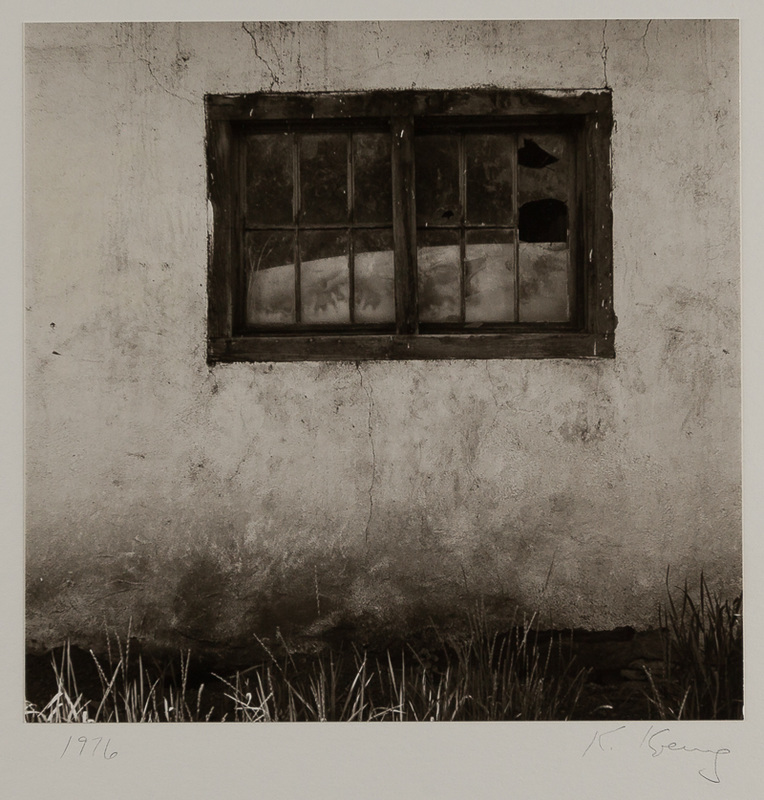 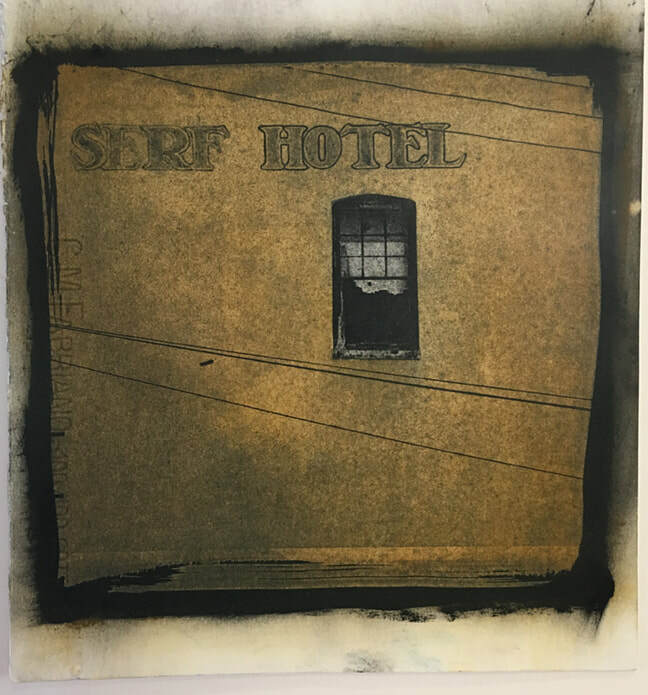 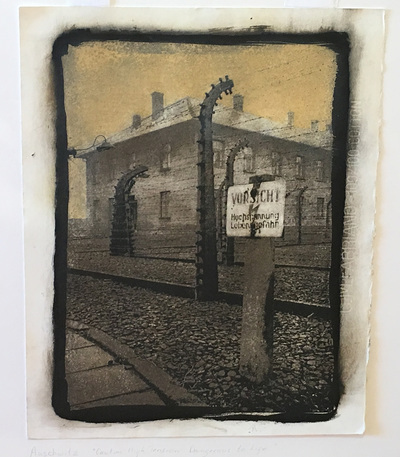 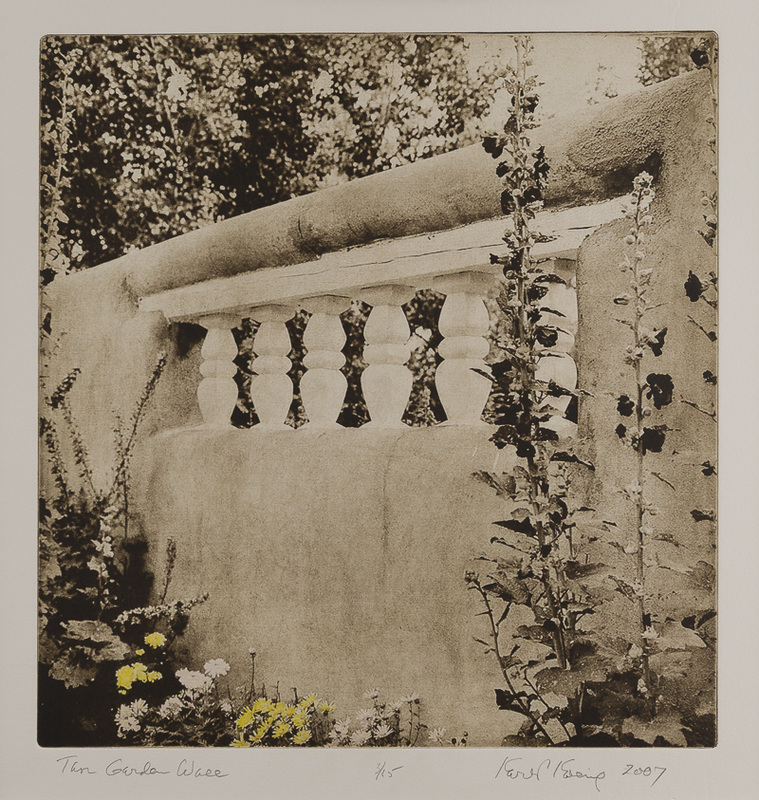 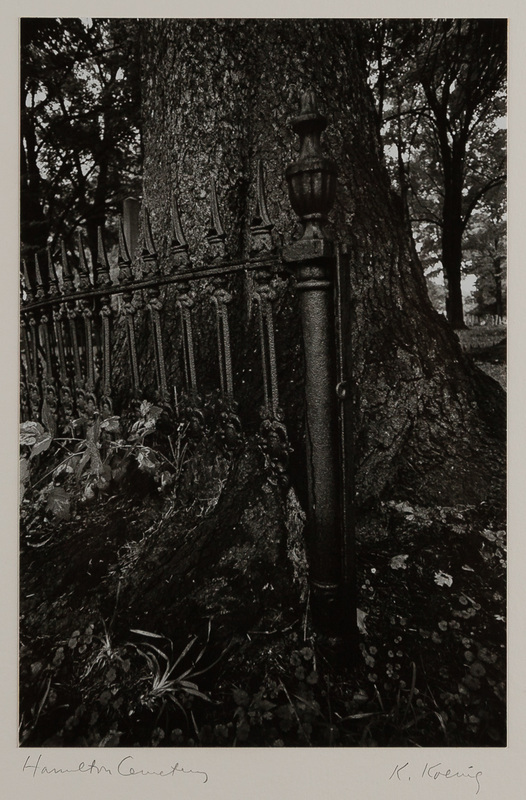 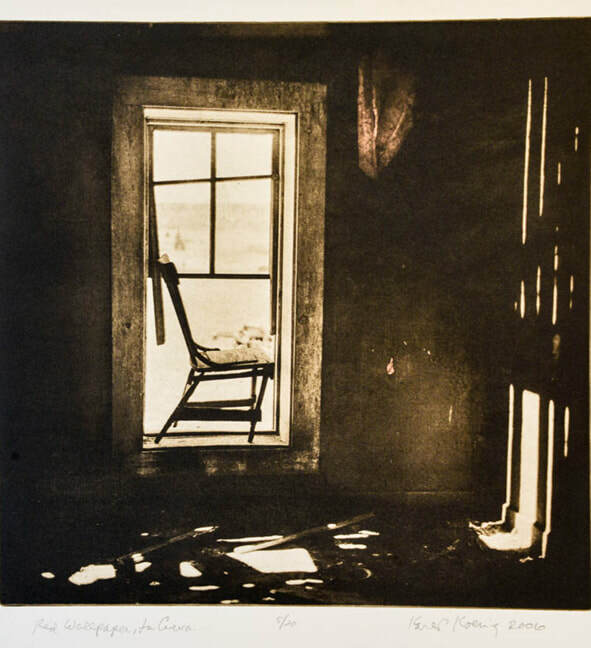 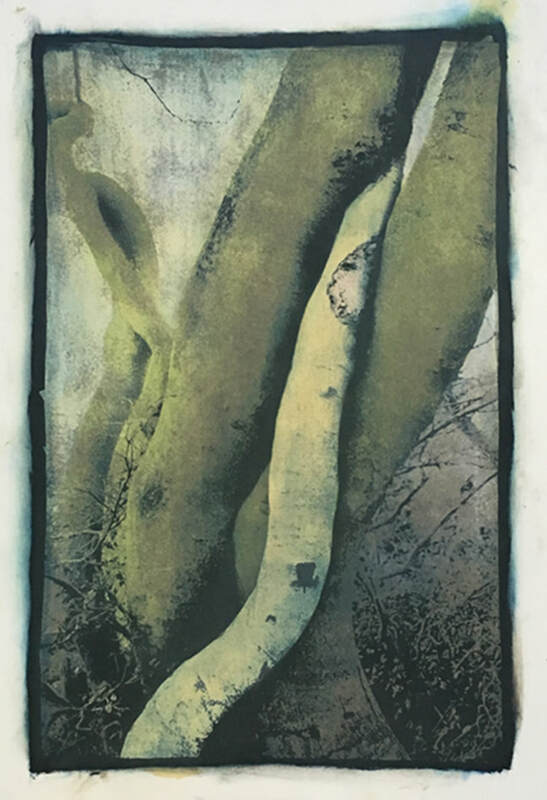 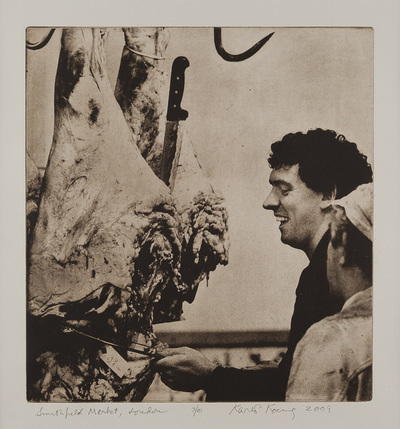 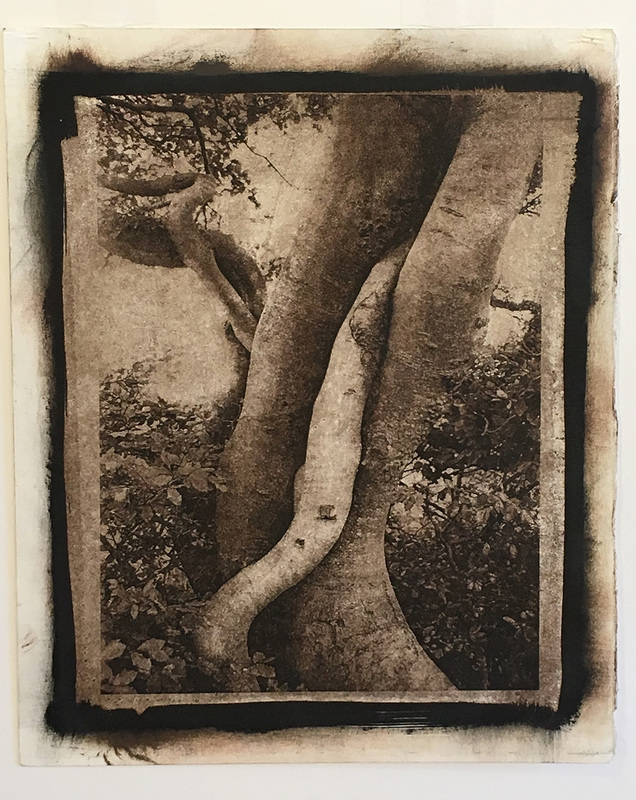 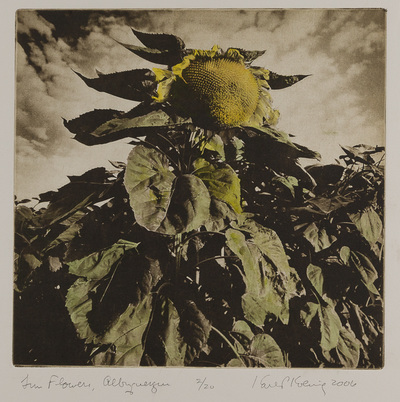 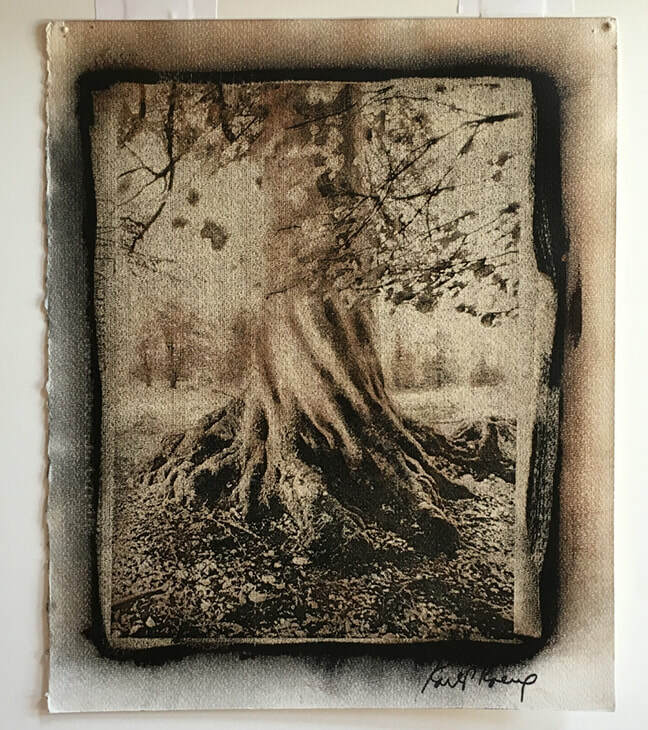 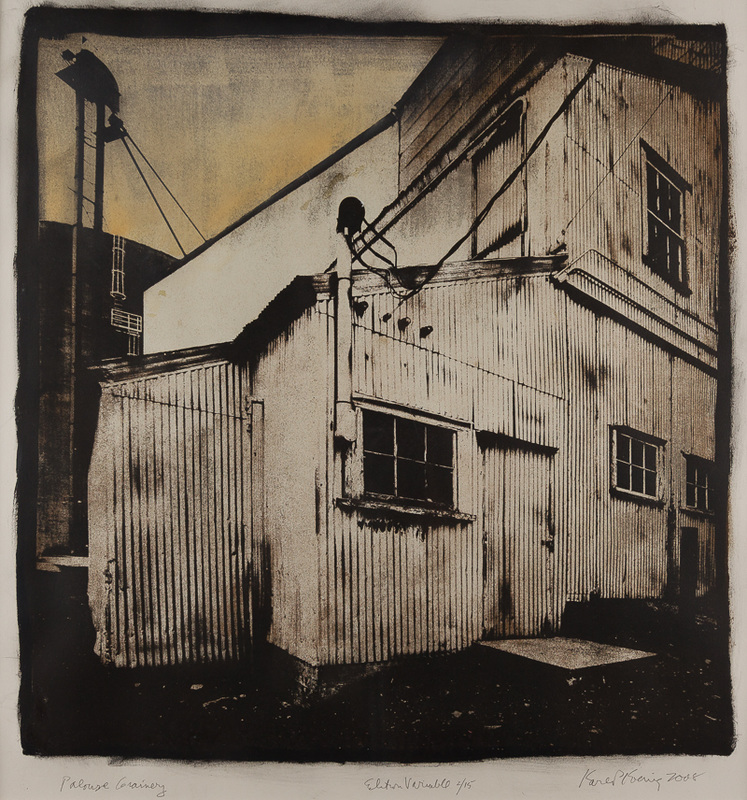 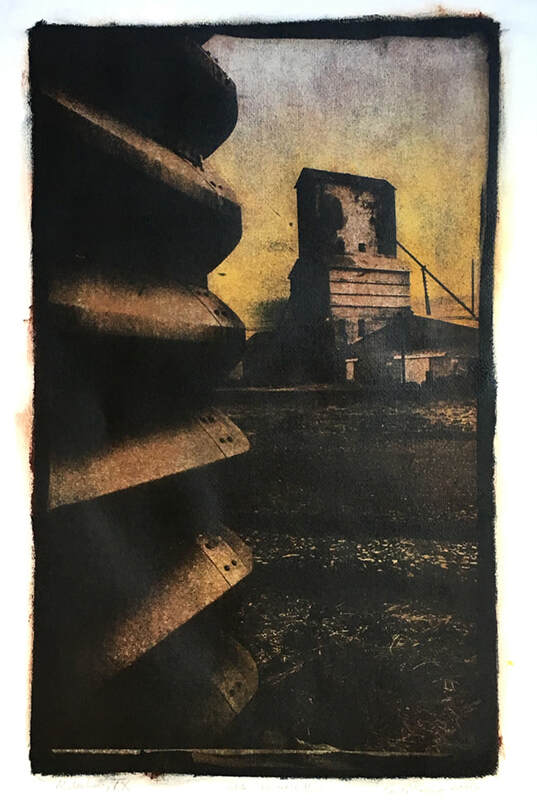 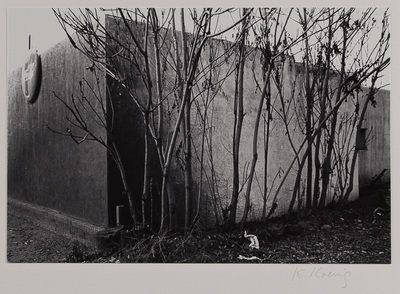 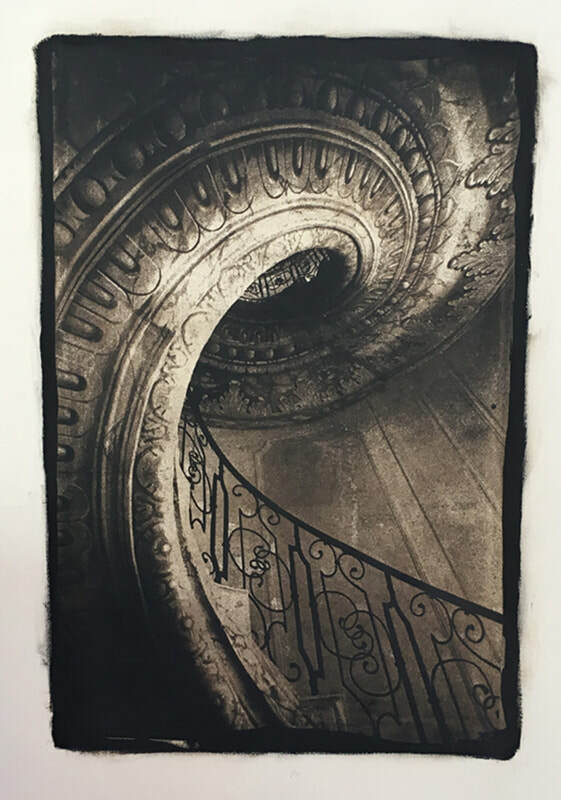 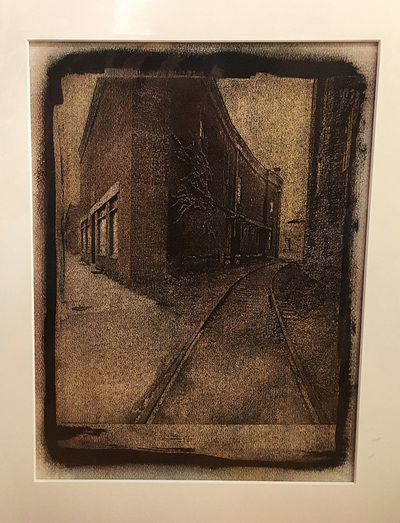 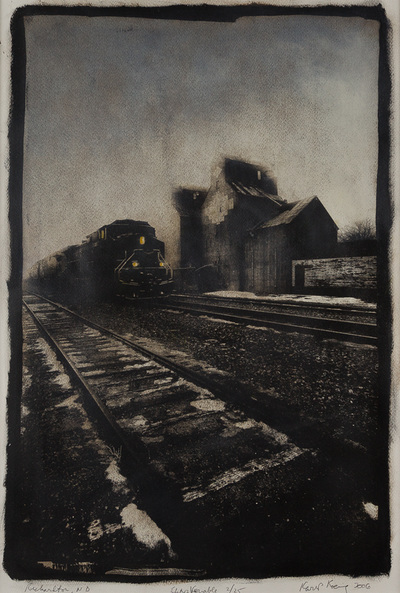 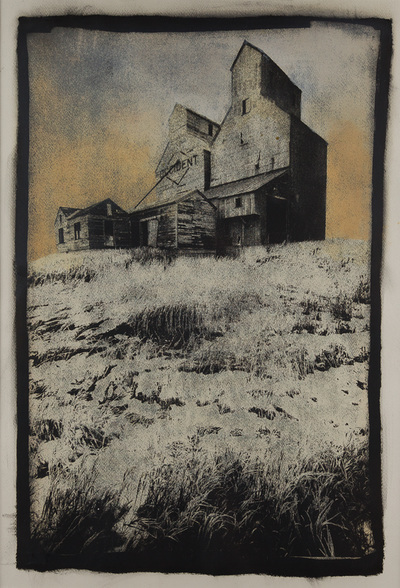 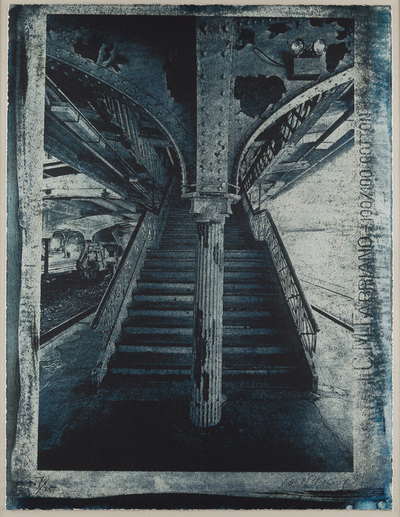 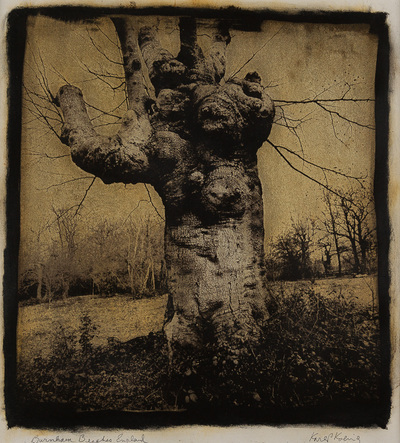 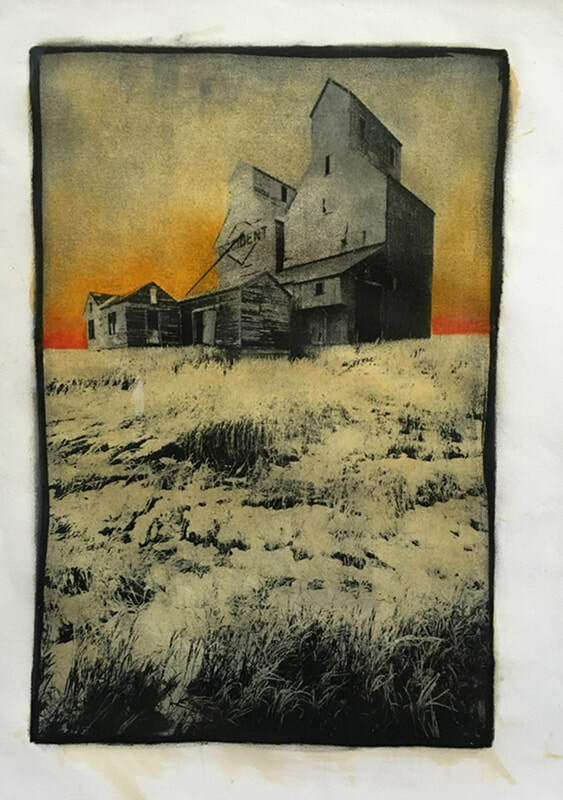 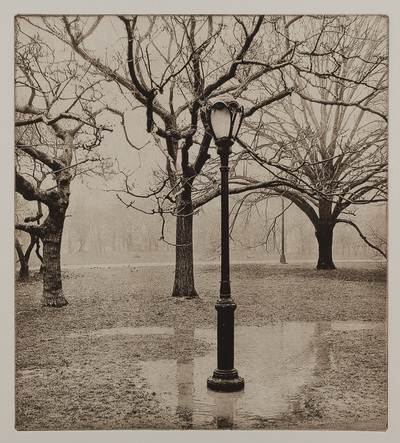 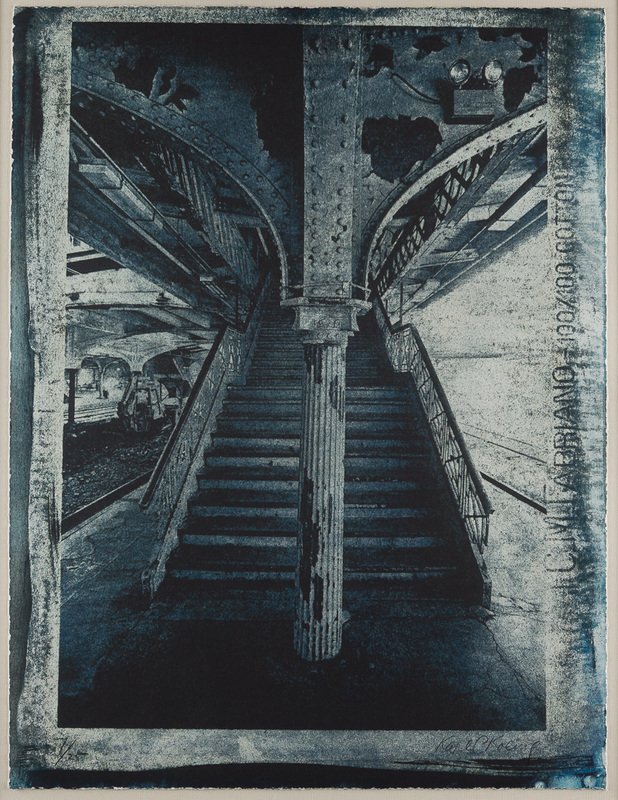 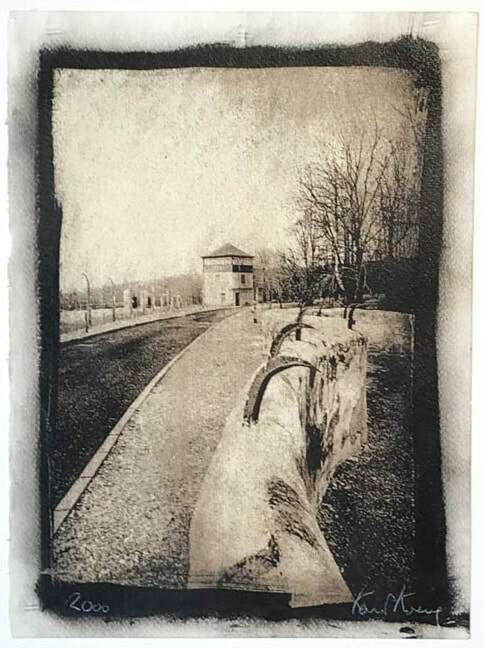 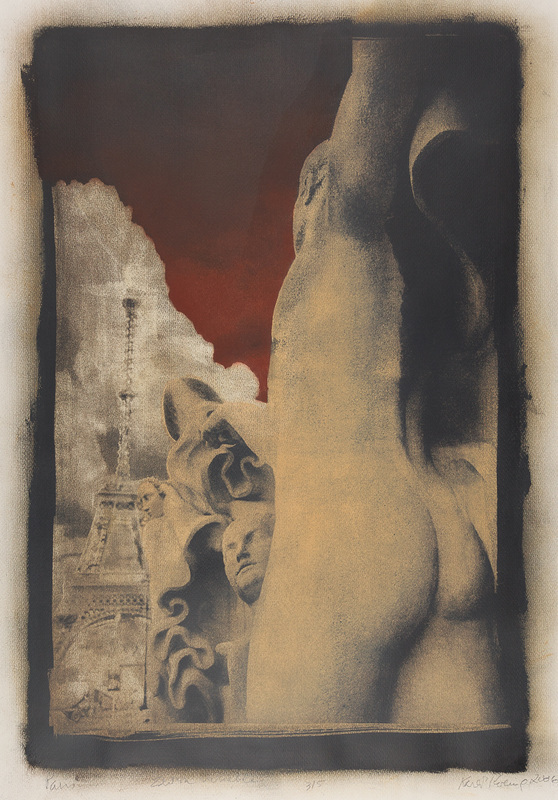 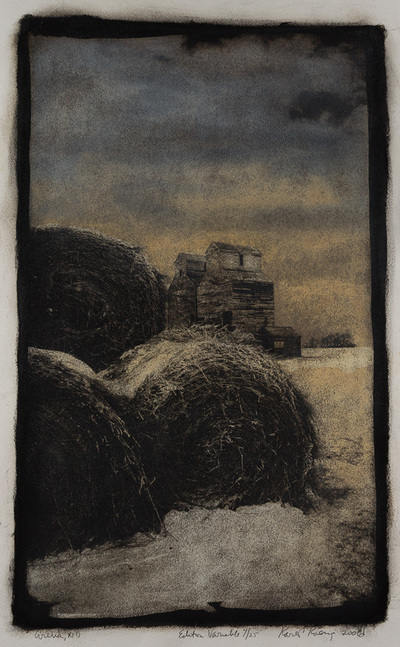 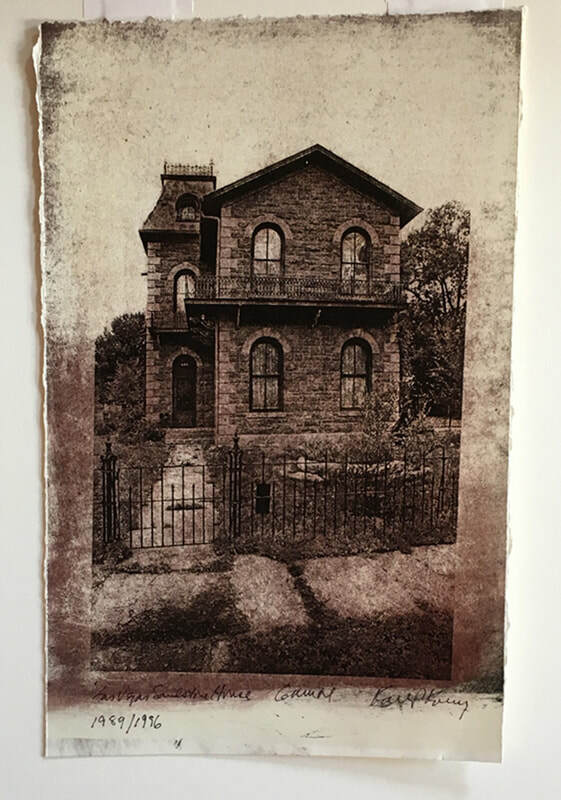 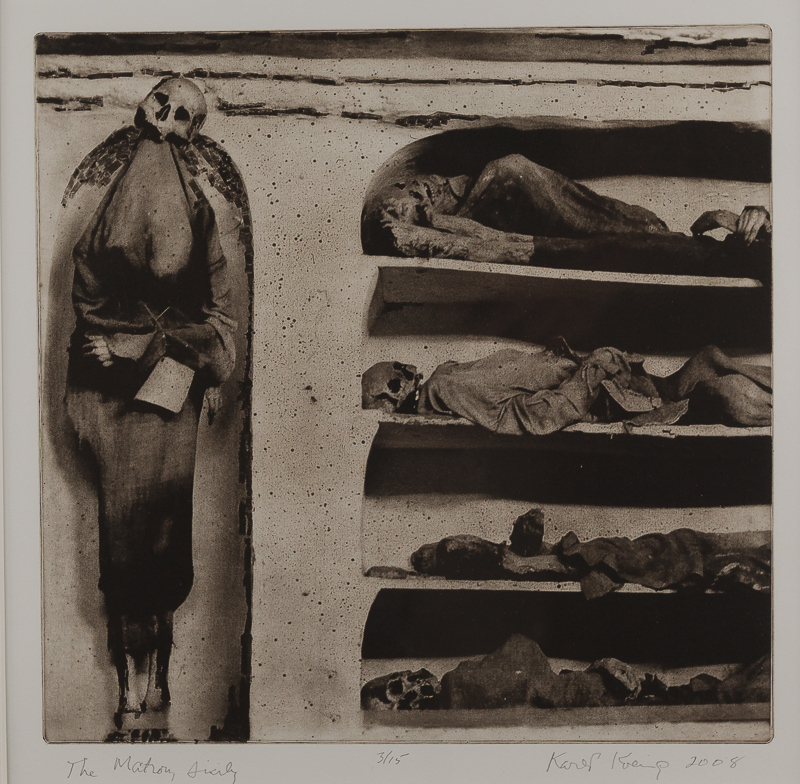 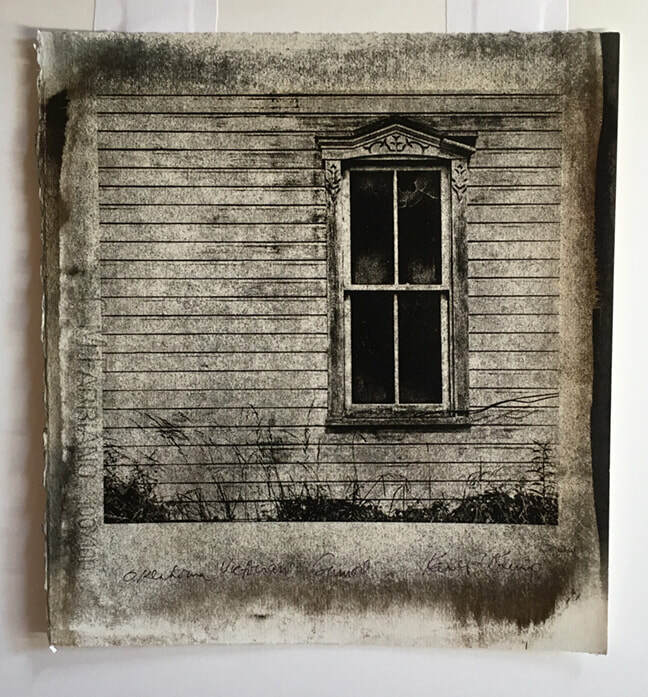 His richly detailed photogravures span the breadth of Karl's interests ~ trees, winter farms, New Mexico scenes, architectural details, odd (often overlooked) conjunctions and an occasional quirky view of the world (richly colored fish market displays, a montage of Barbie dolls, denizens of the Palermo crypts). 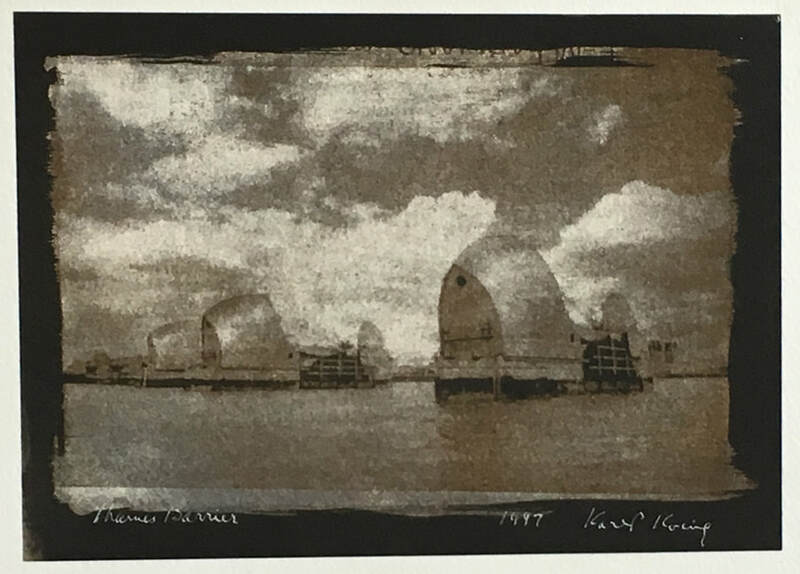 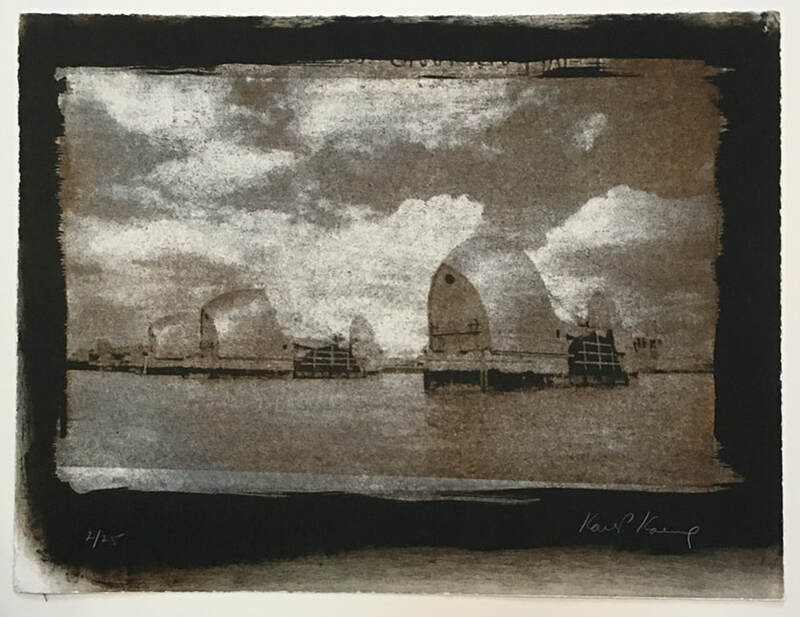 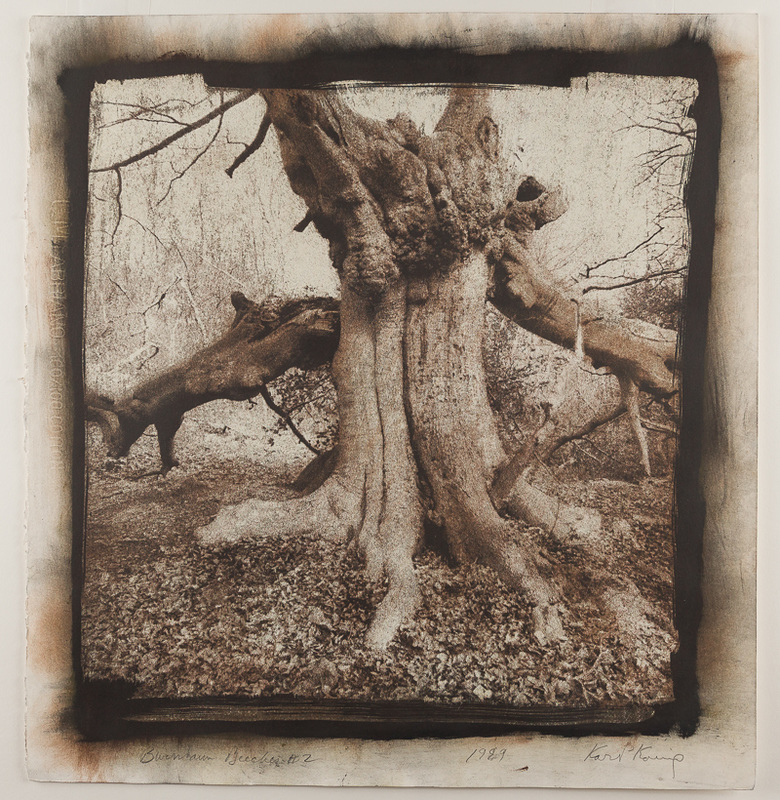 Please note: Each of Karl's artworks has been authenticated by his wife, Frances Koenig, and a signed Certificate of Authenticity will be issued with any unsigned photograph.